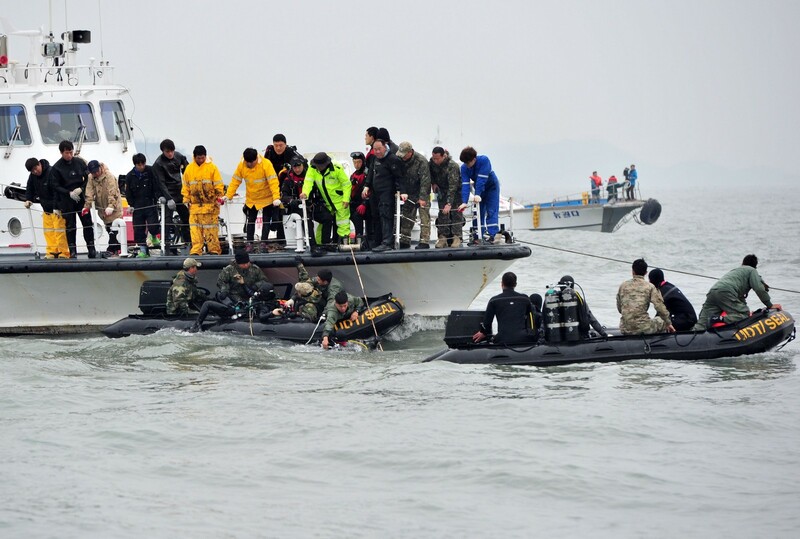 South Korean President Park Geun-hye shakes hands with a family member of a missing passenger onboard sunken passenger ship Sewol during her visit to a barge near the area where Sewol sank in the sea off Jindo. 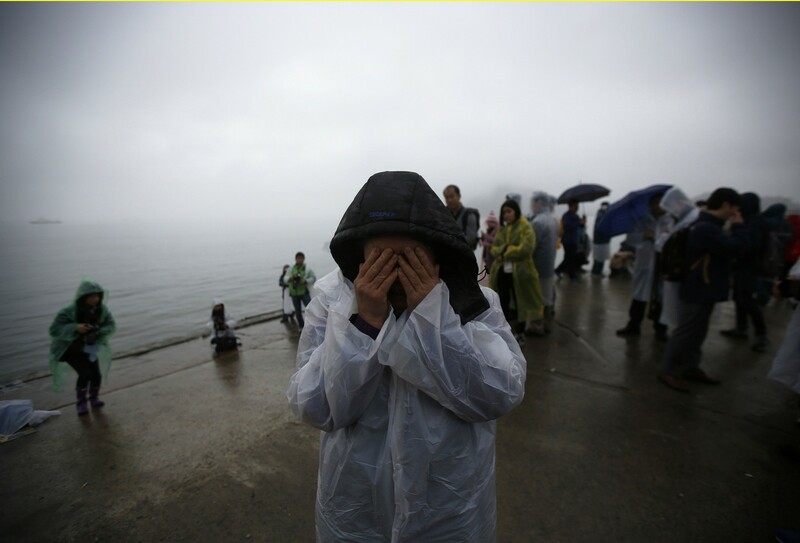 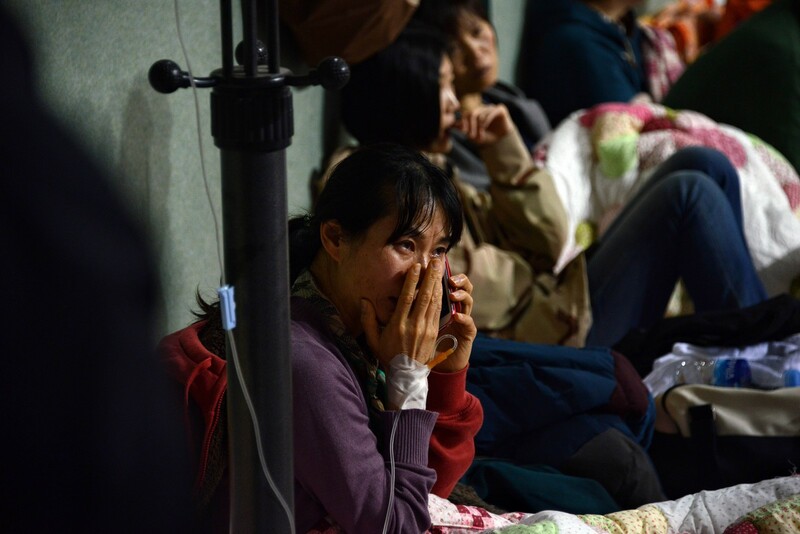 President Park Geun-hye on Sunday apologised to the families of the Sewol ferry disaster victims for poor administrative measures to save their beloved ones, and vowed to punish all of those held responsible. 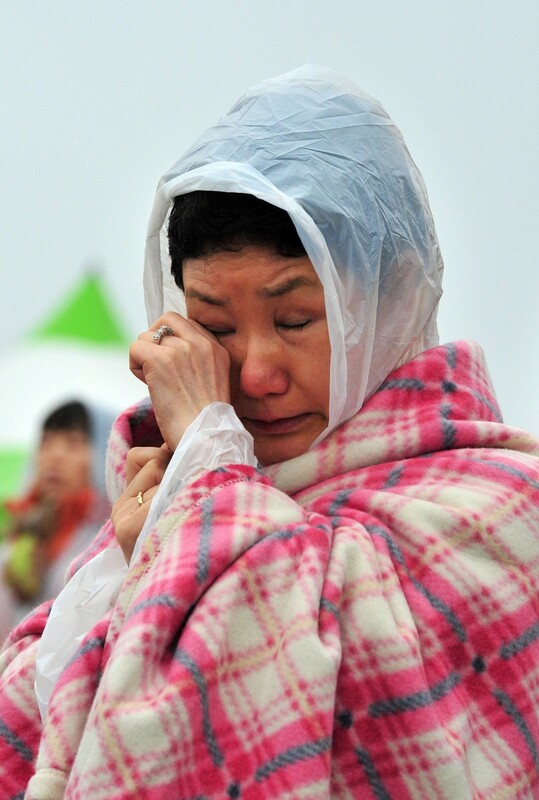 "I understand that you are in great despair. 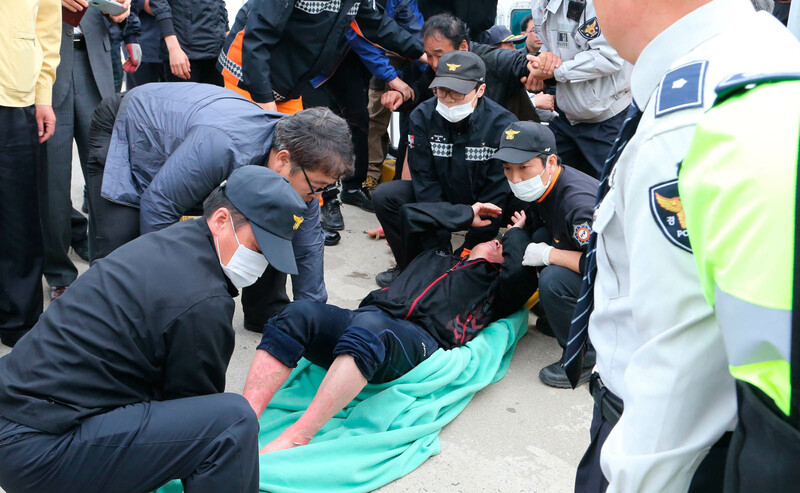 It has been about 20 days since the accident. 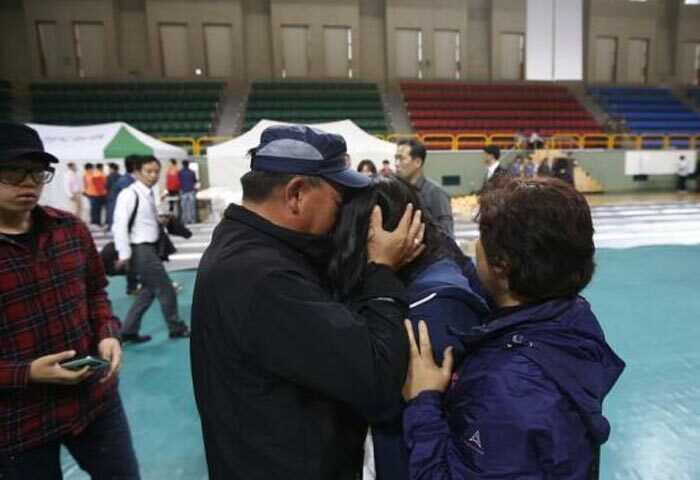 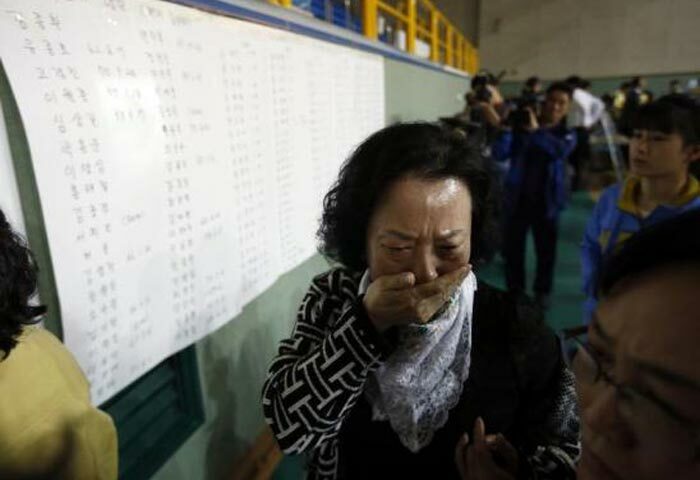 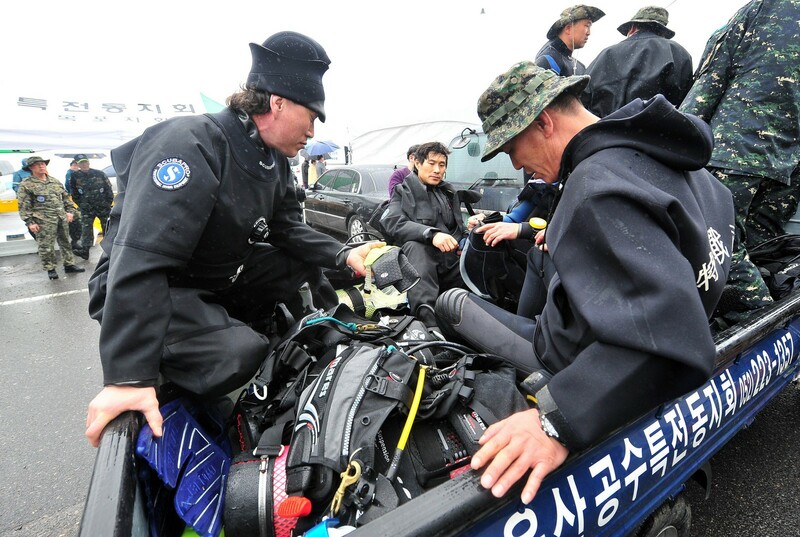 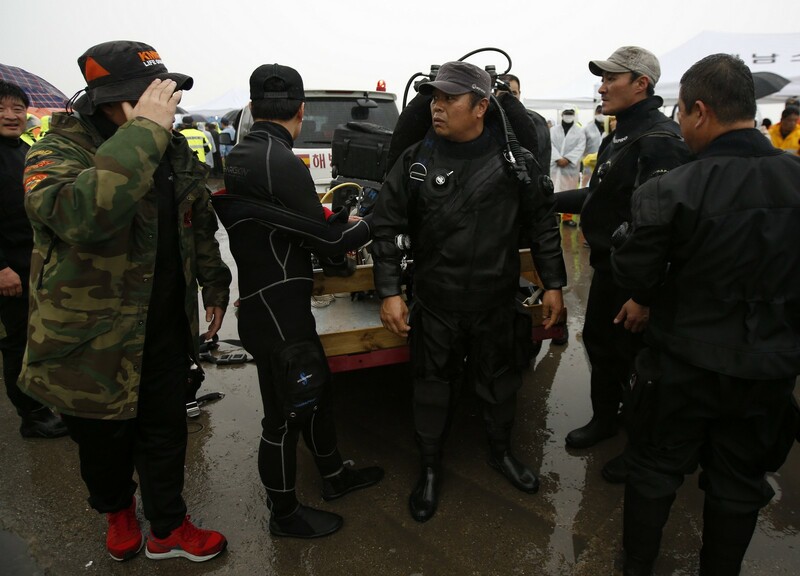 I feel immensely responsible," Park told the family members of those who are still reported missing from the sunken ship at the Paengmok Port in Jindo of South Jeolla Province. 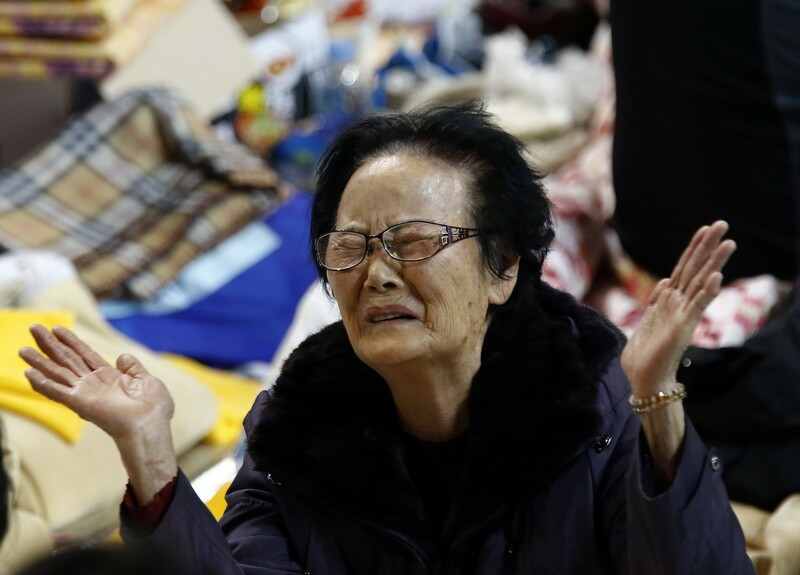 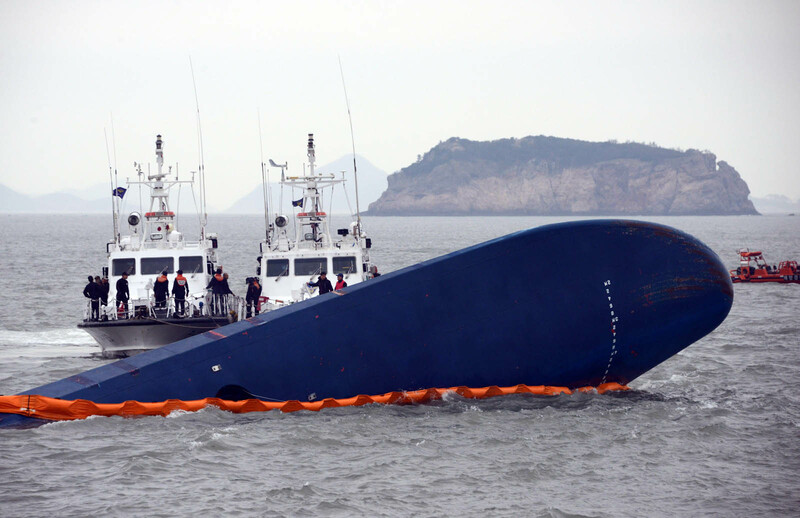 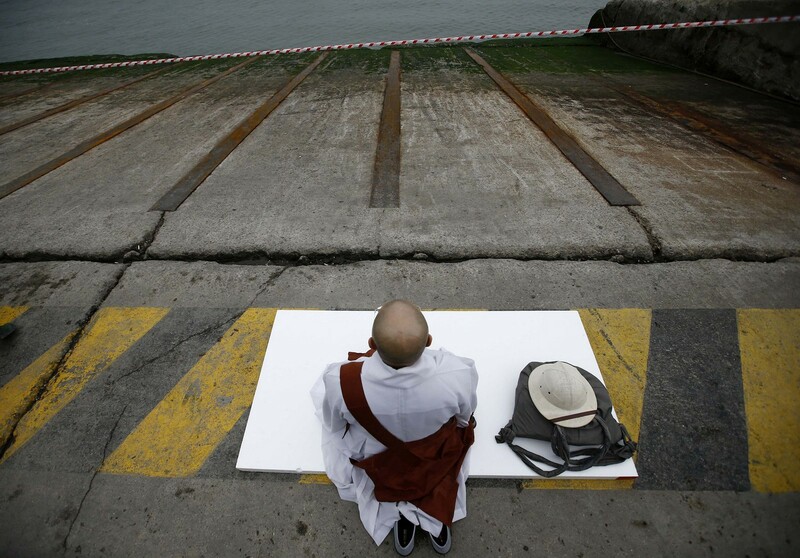 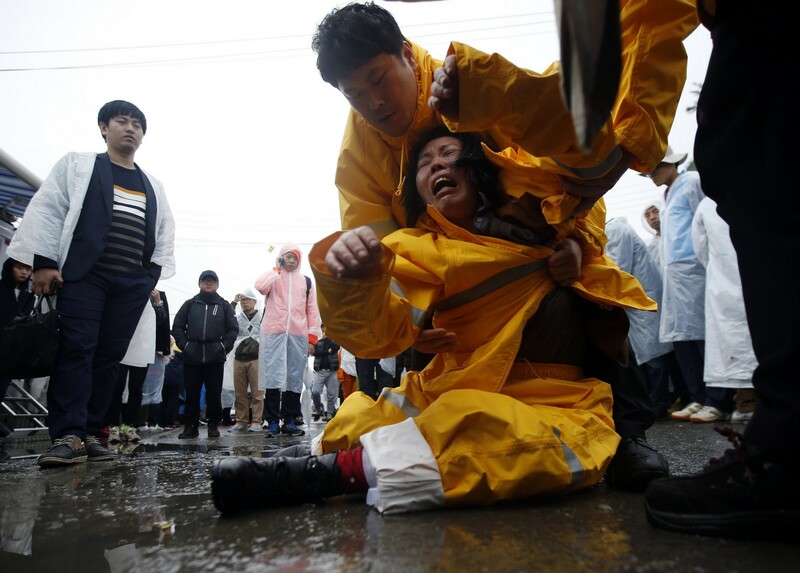 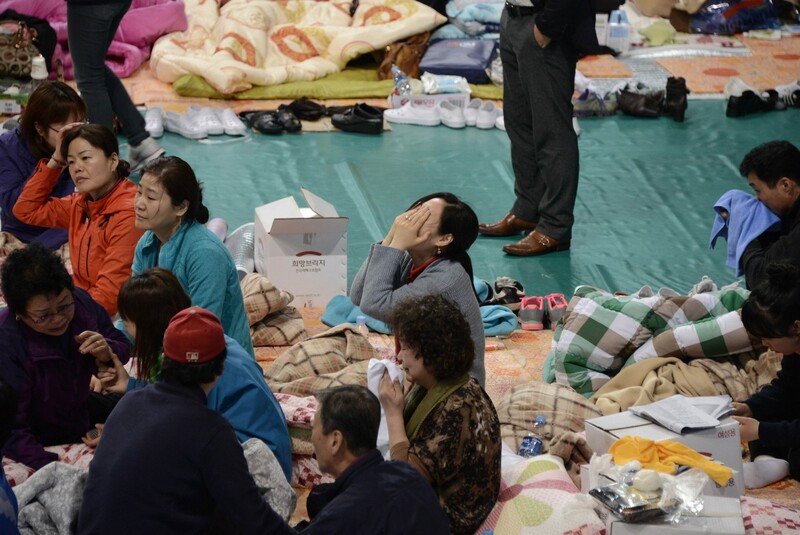 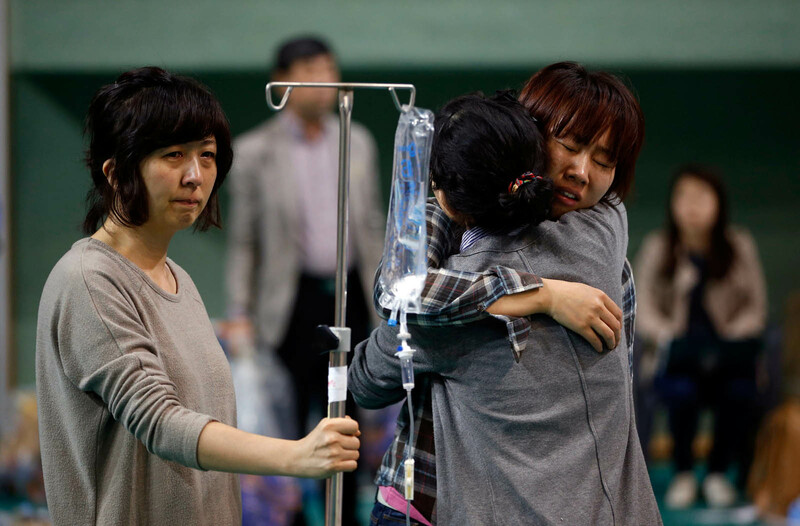 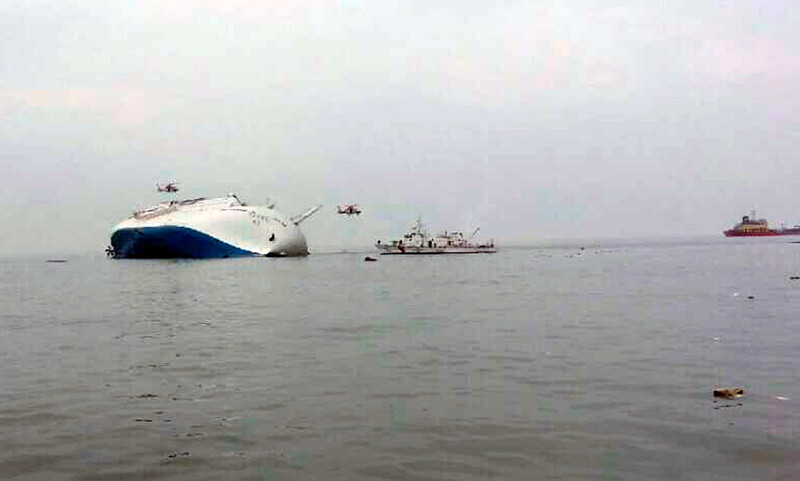 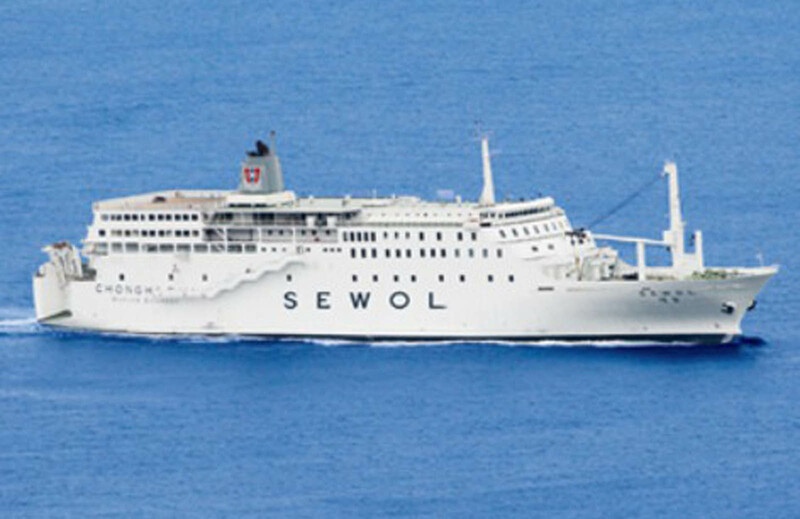 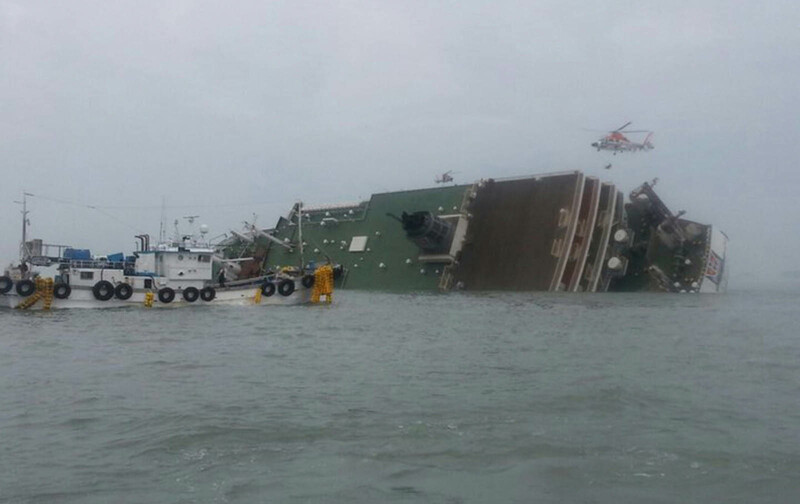 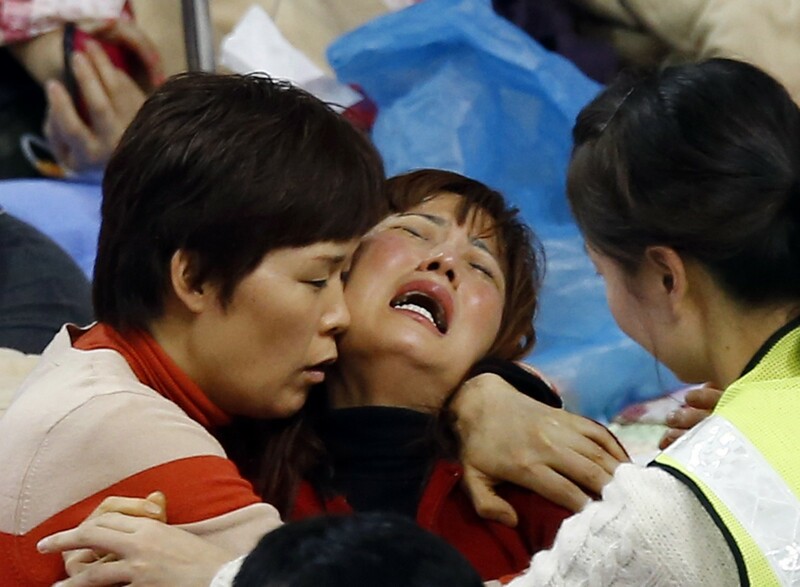 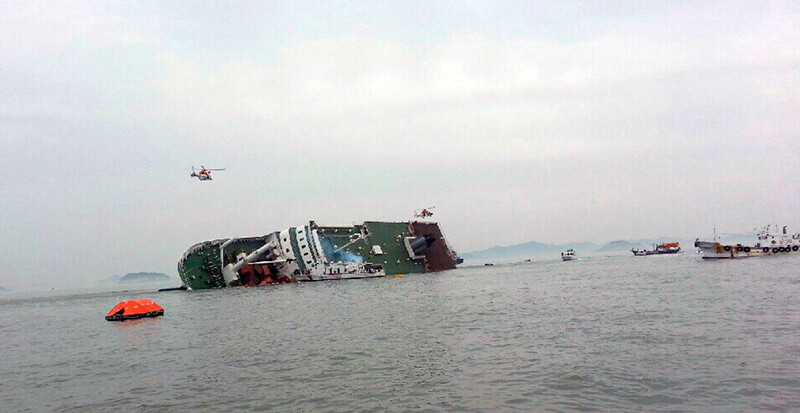 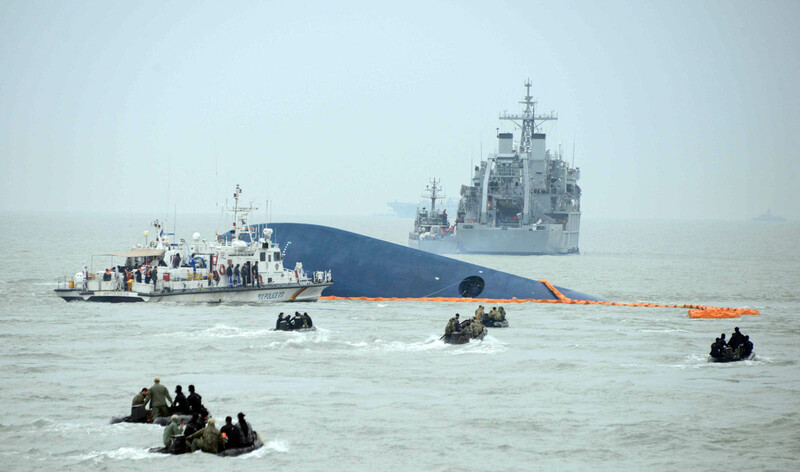 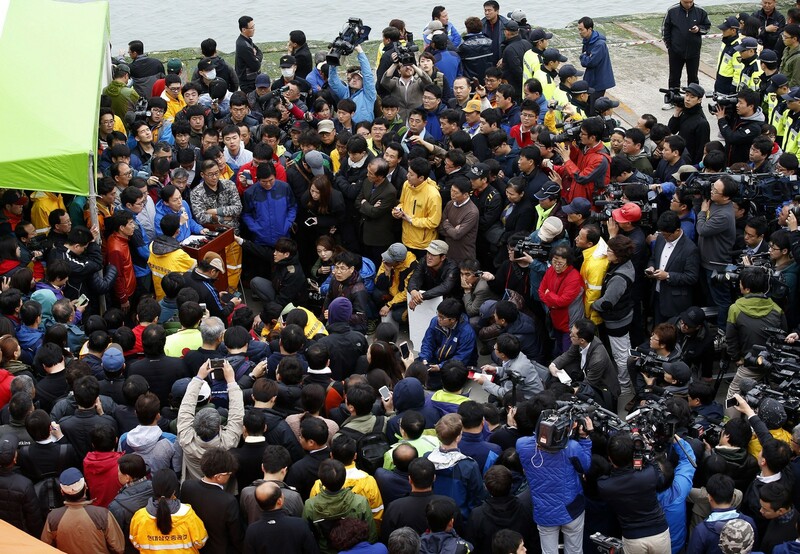 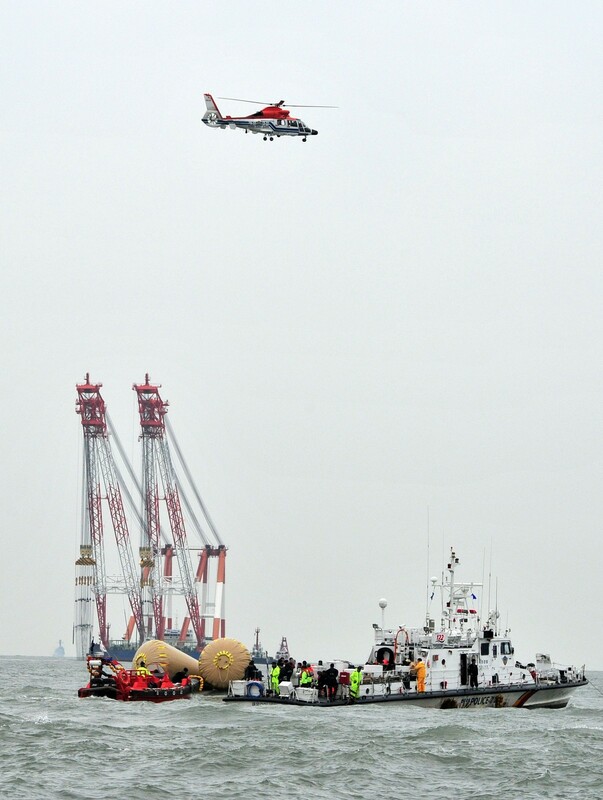 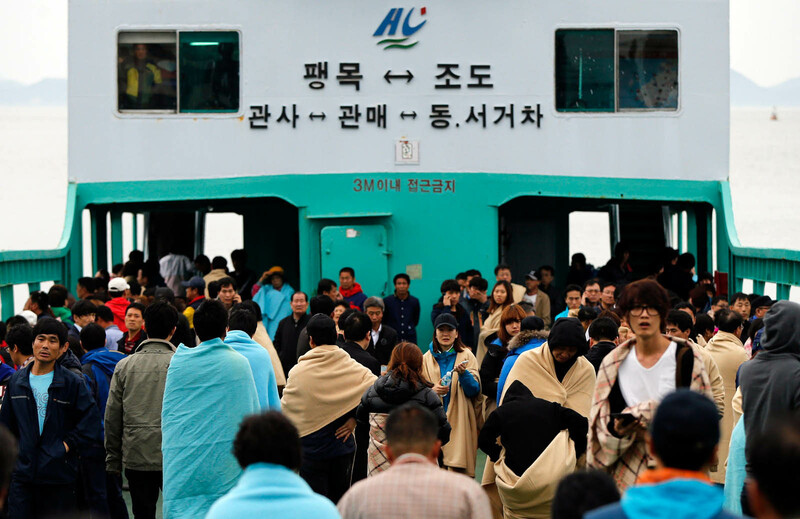 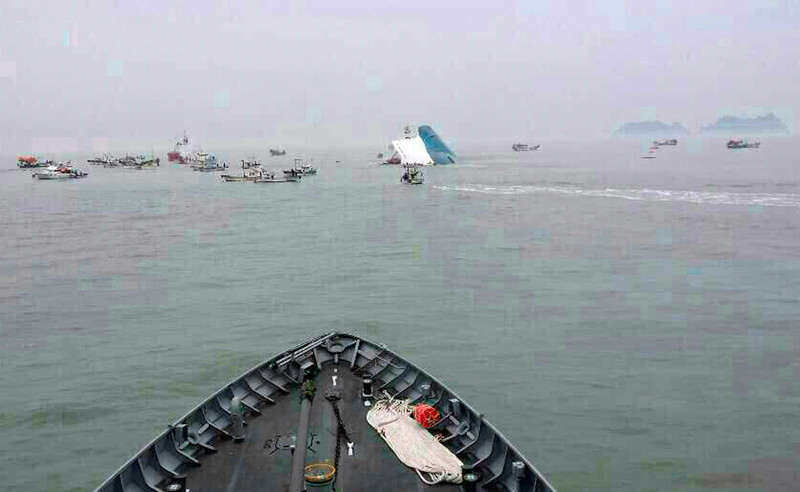 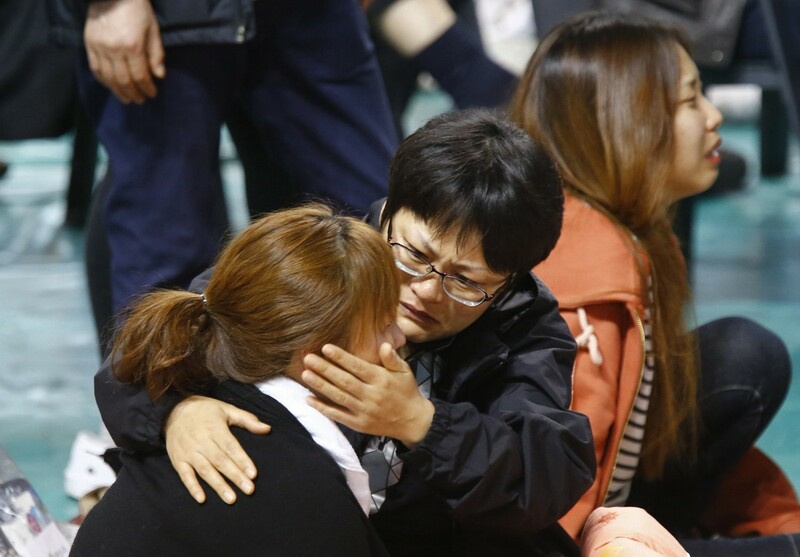 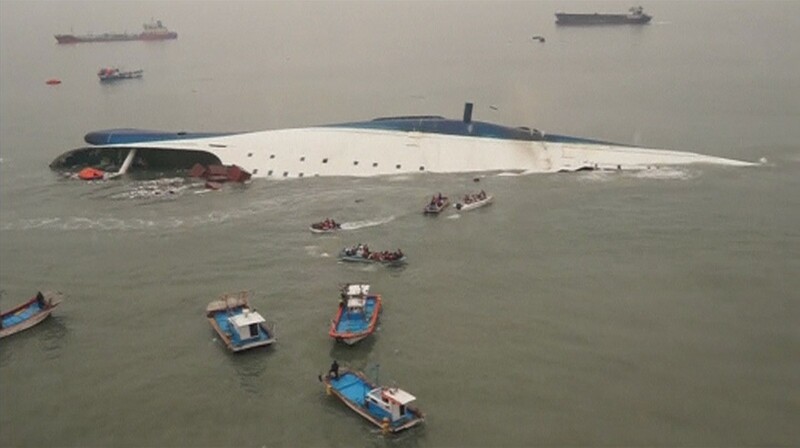 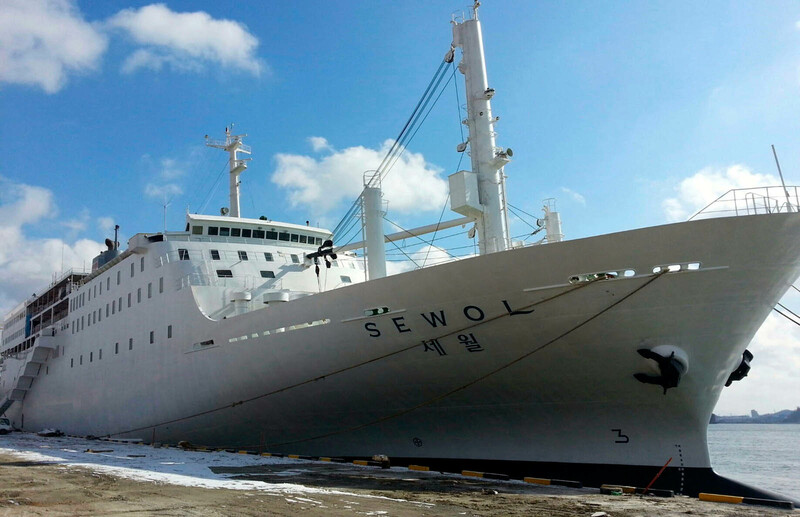 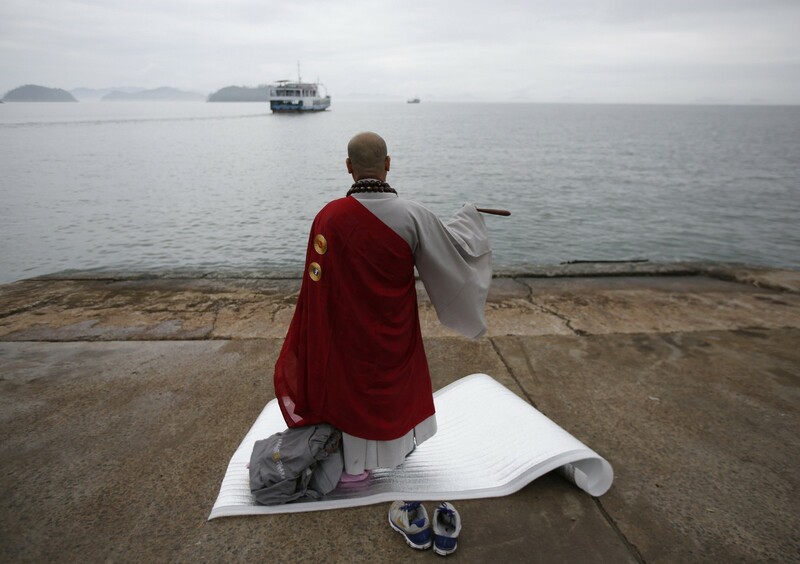 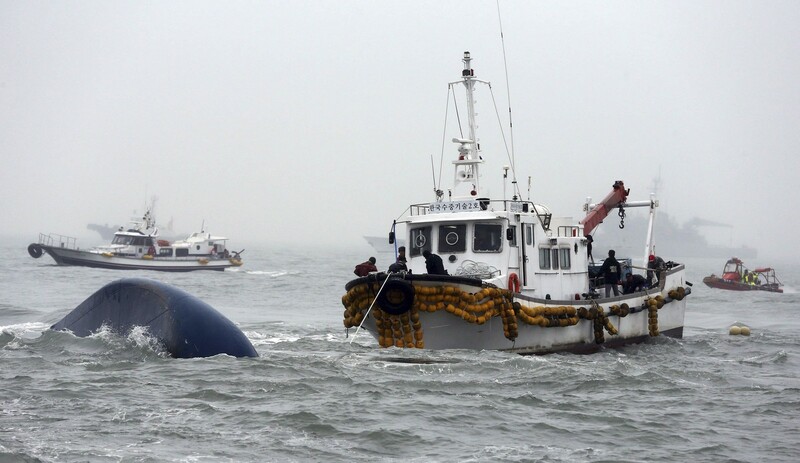 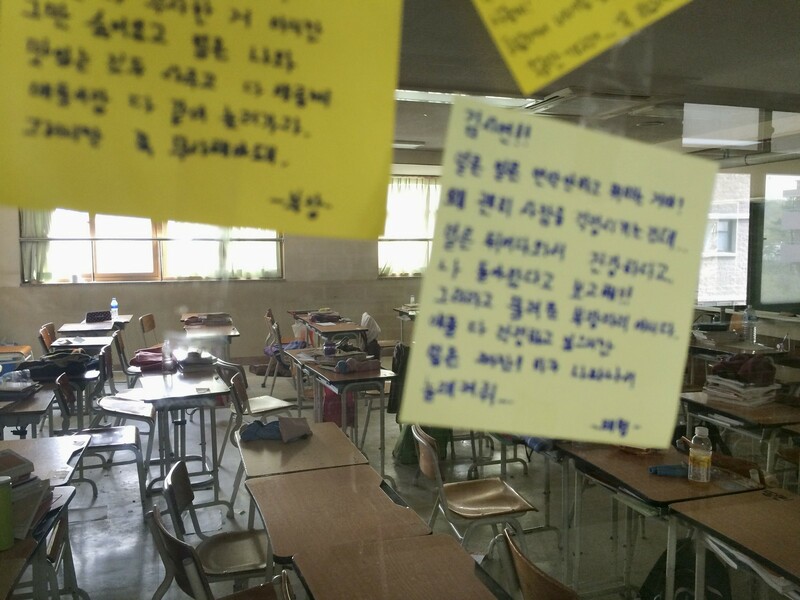 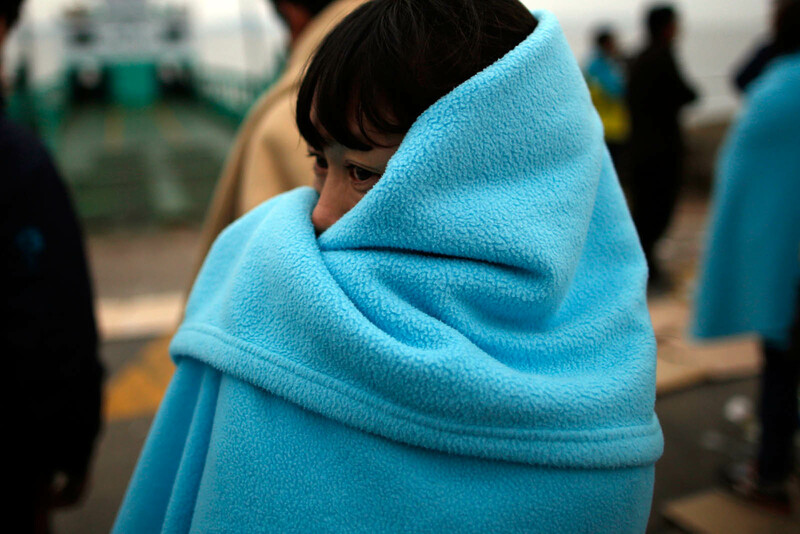 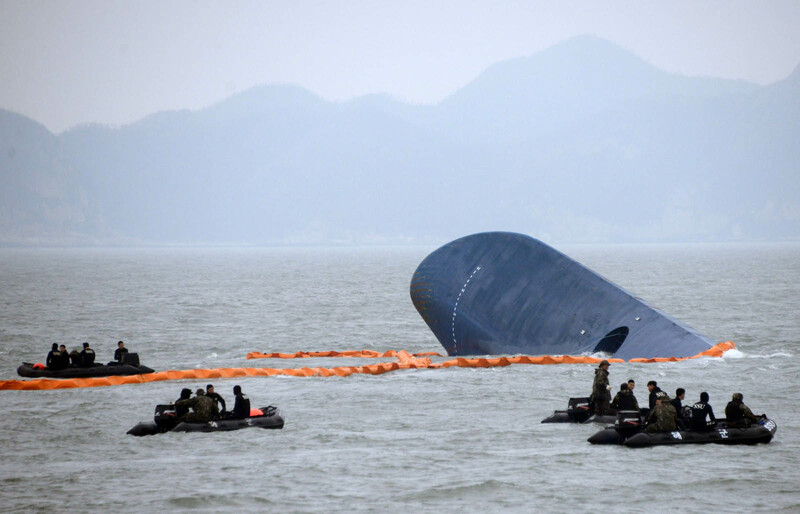 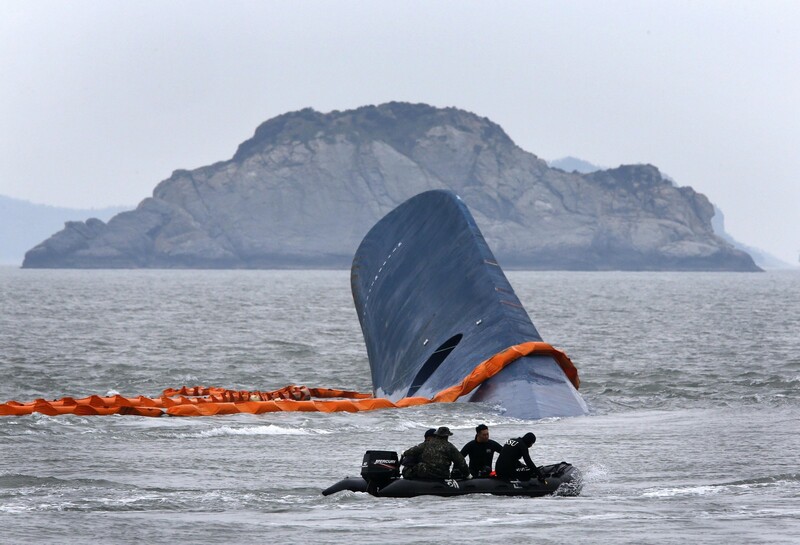 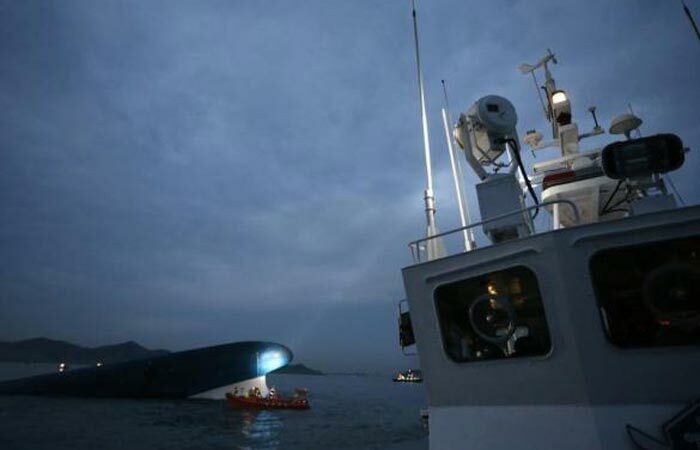 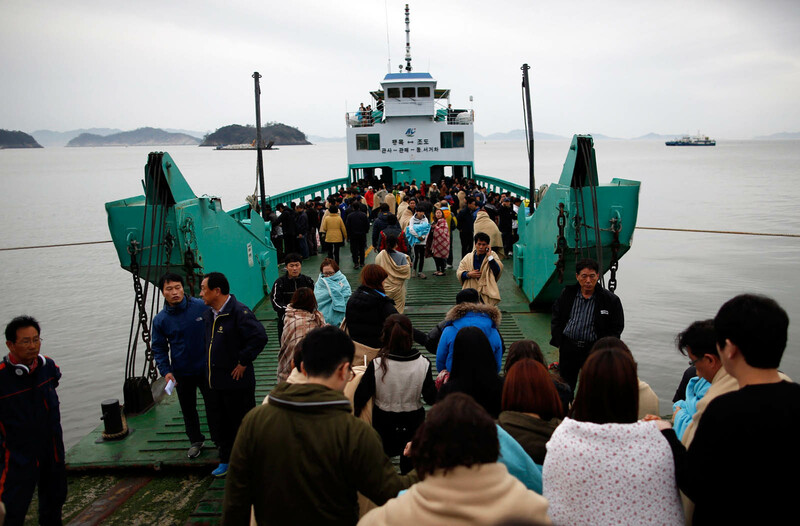 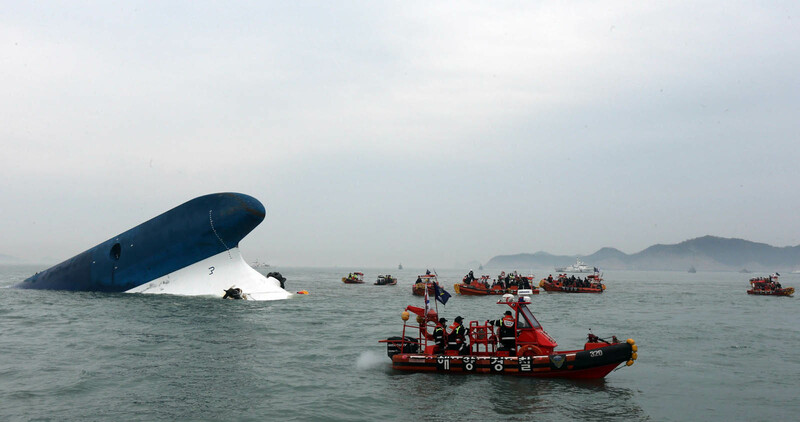 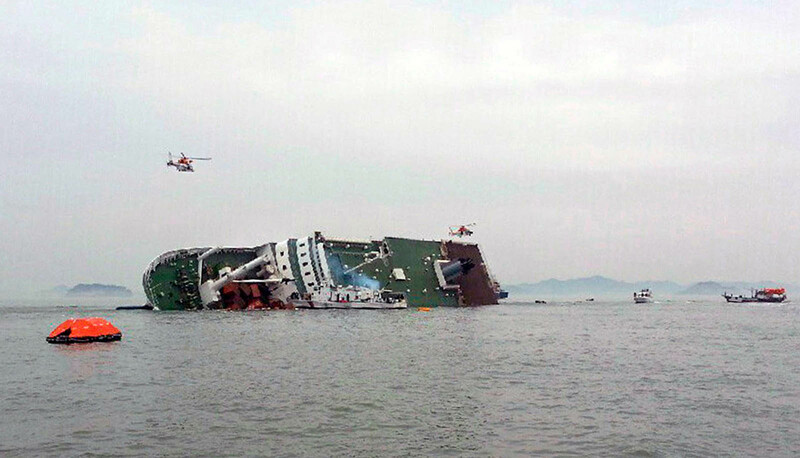 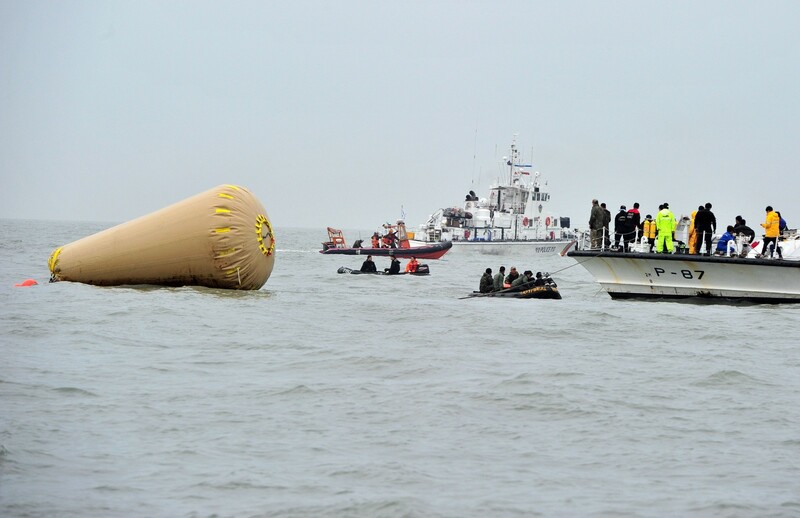 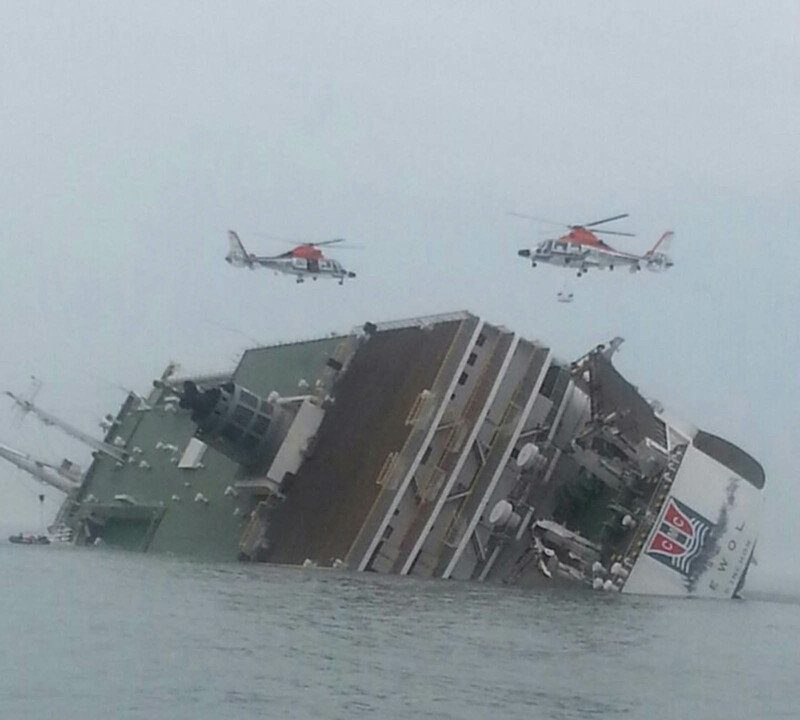 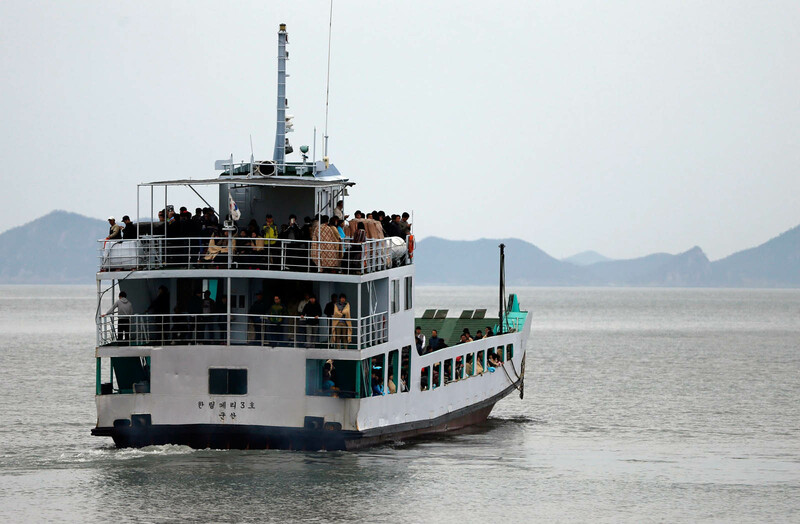 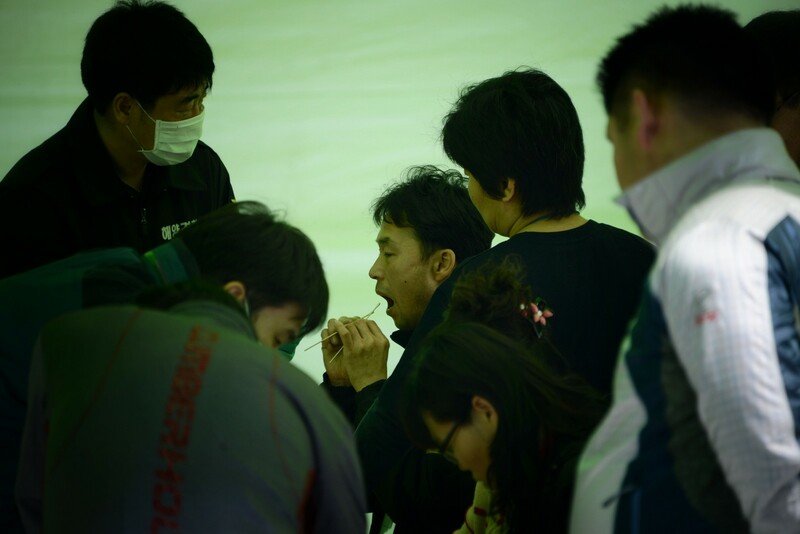 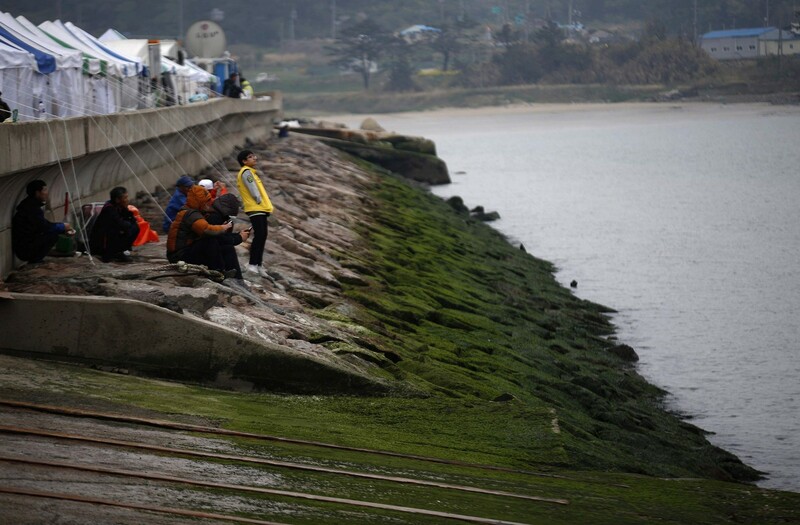 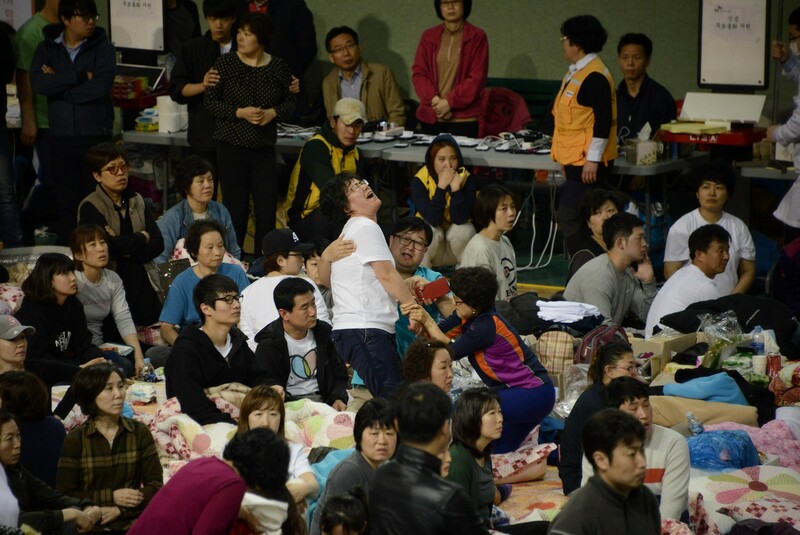 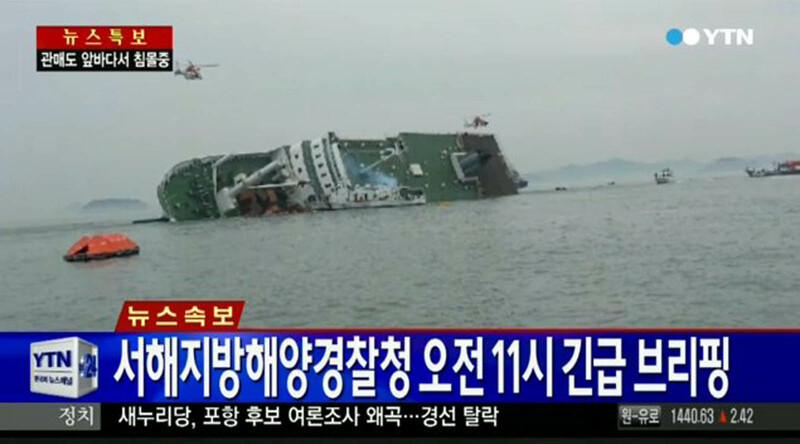 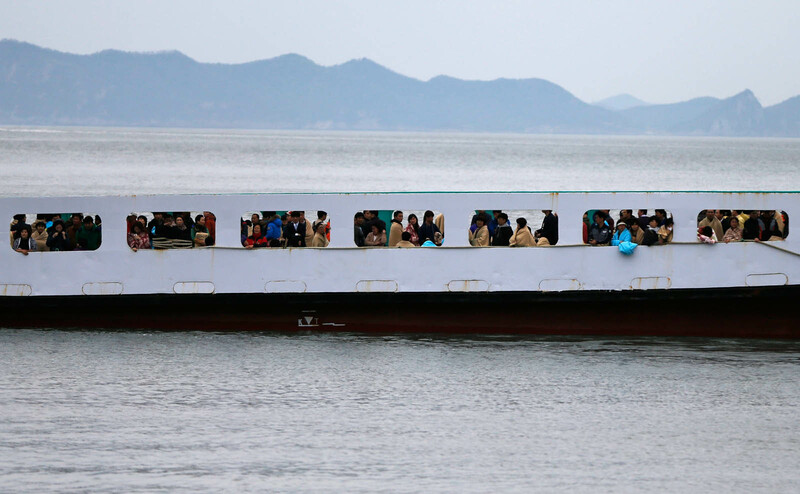 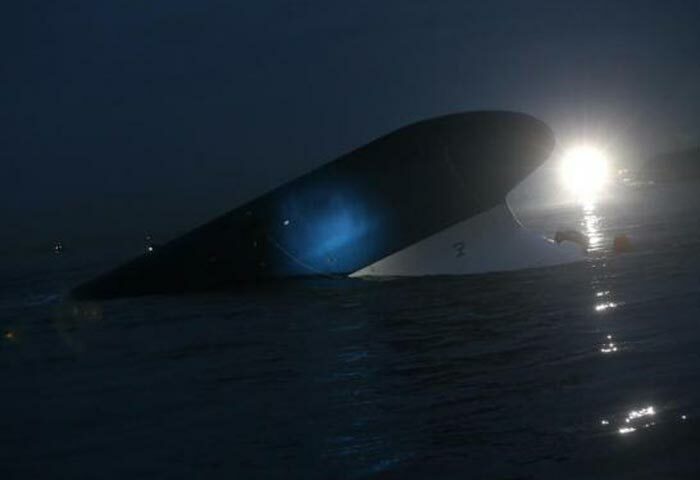 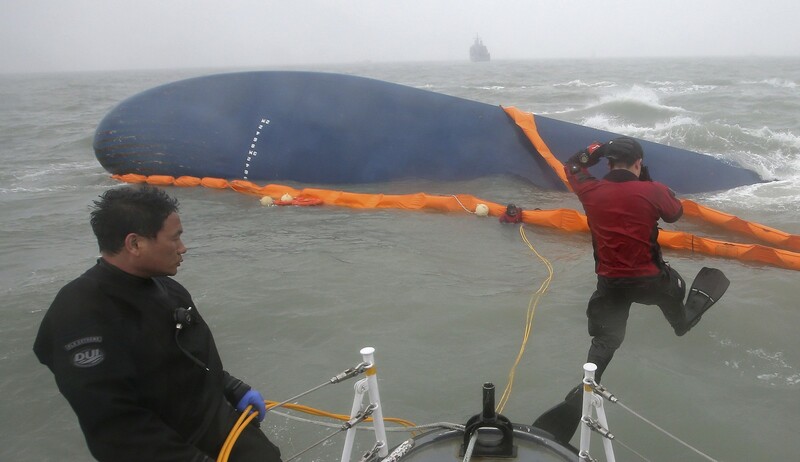 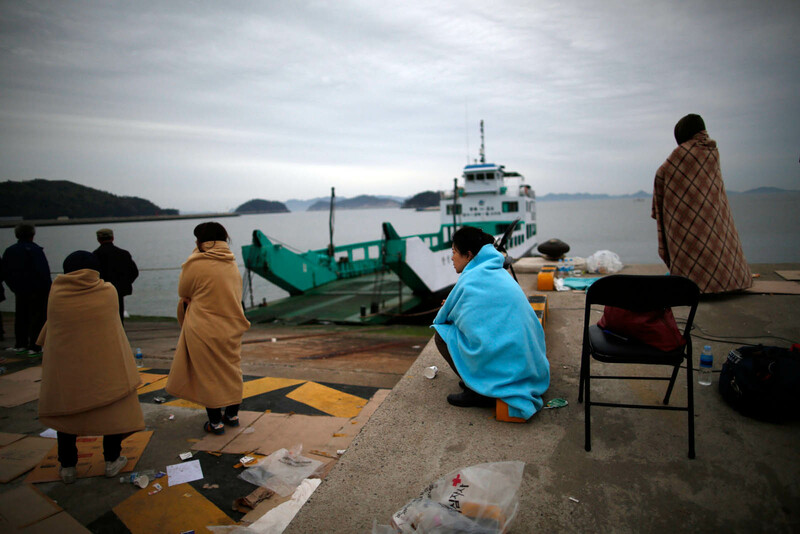 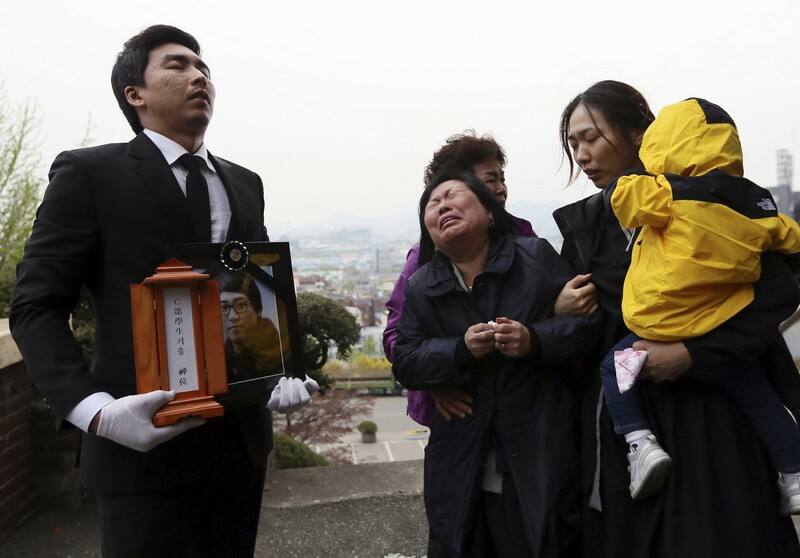 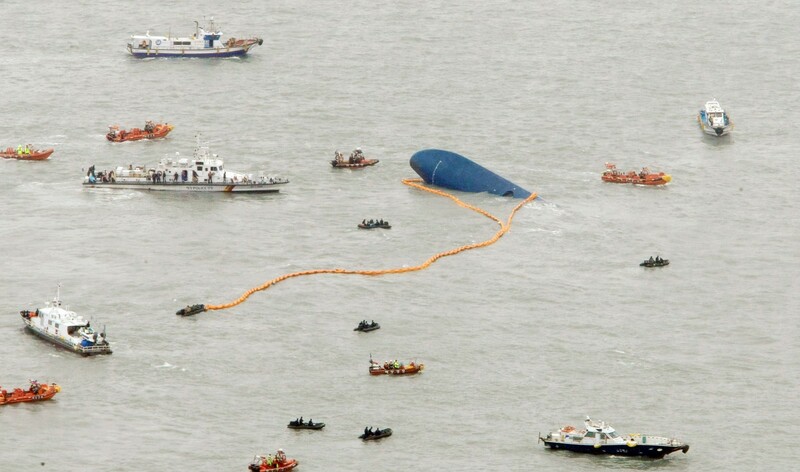 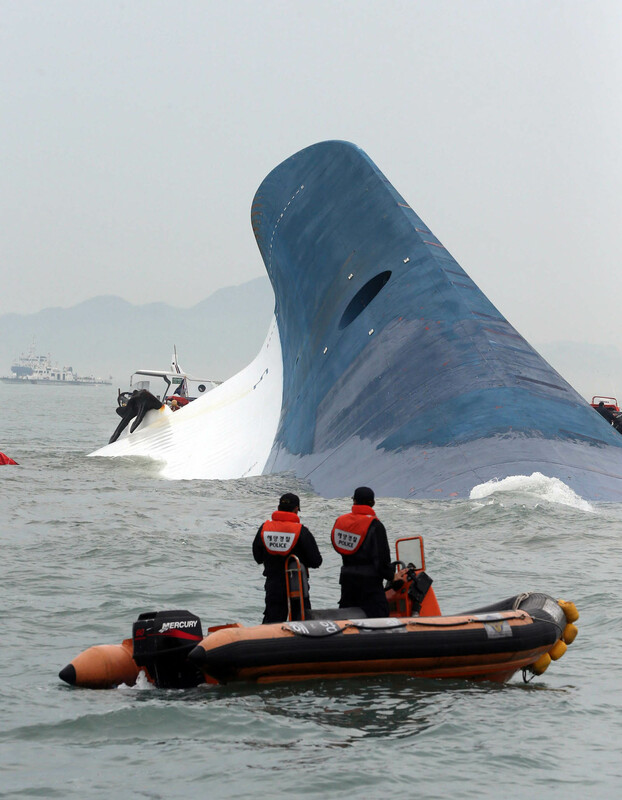 The 6,825-ton ferry Sewol capsized and sank off Jindo on April 16, en route to Jejudo Island. 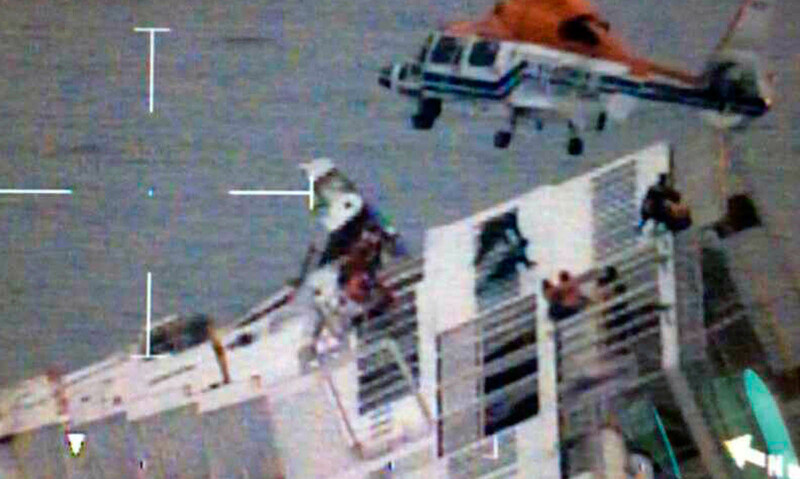 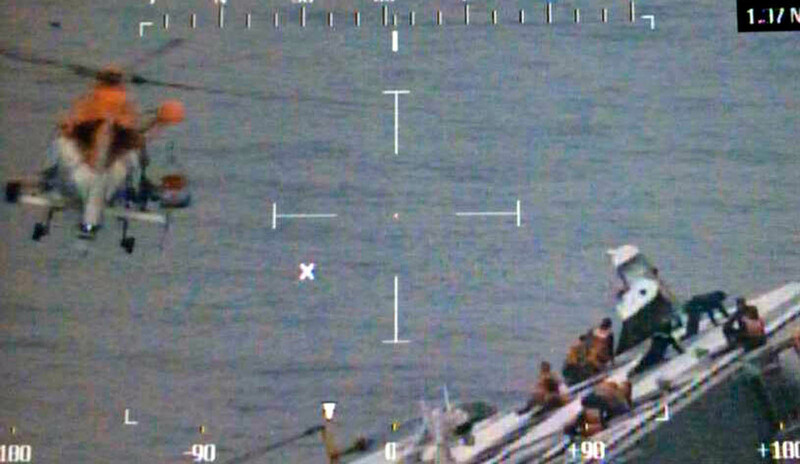 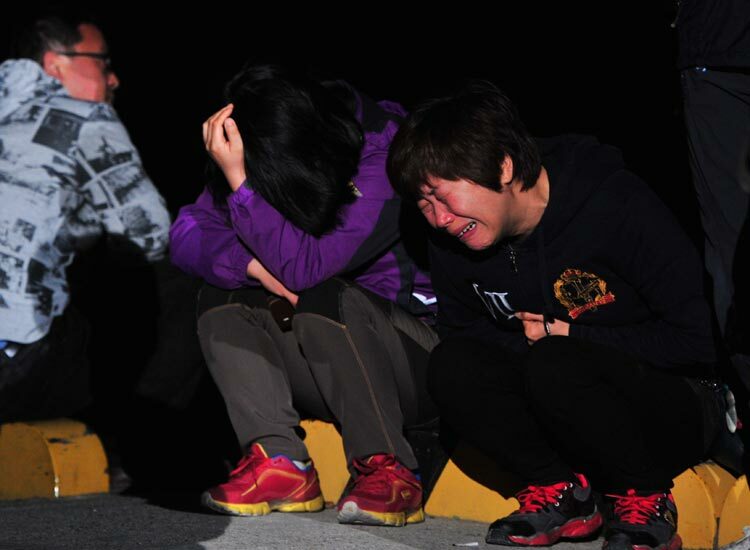 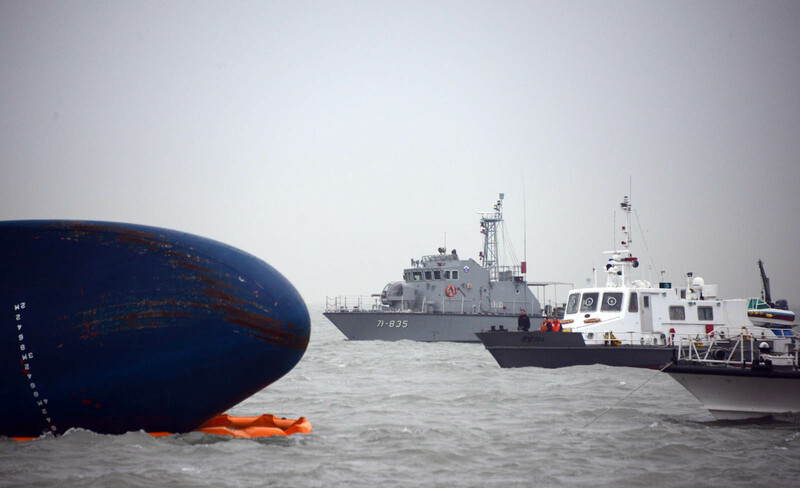 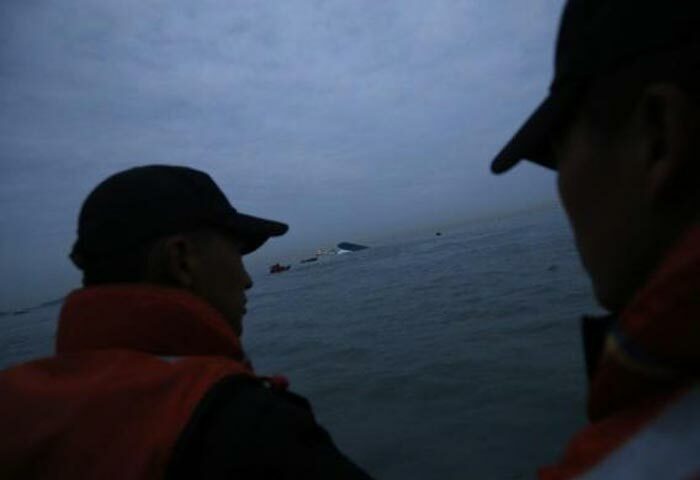 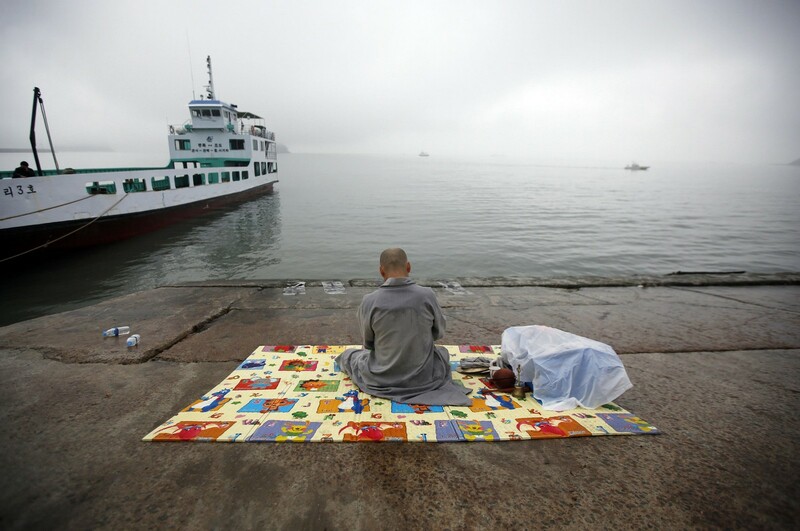 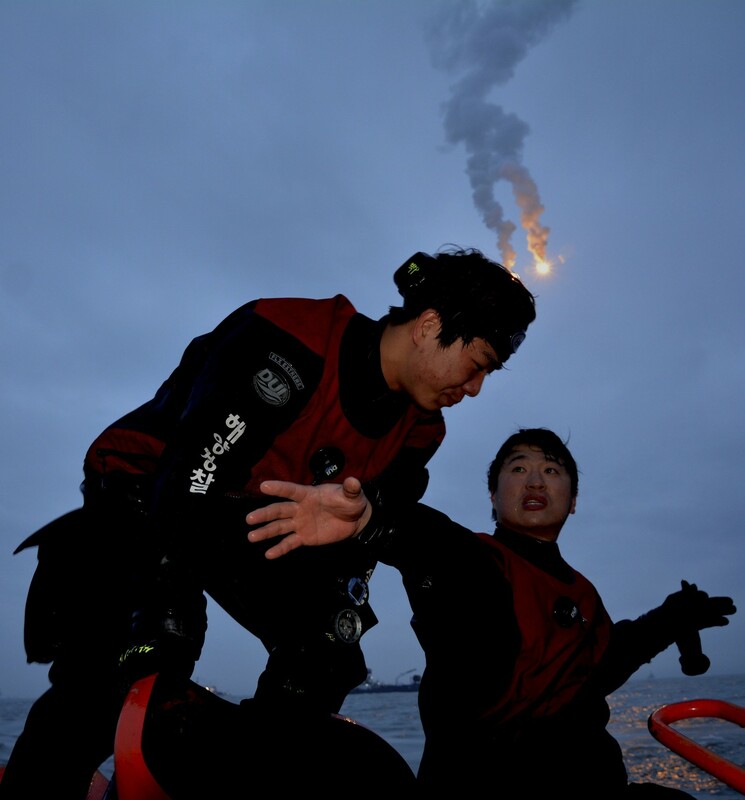 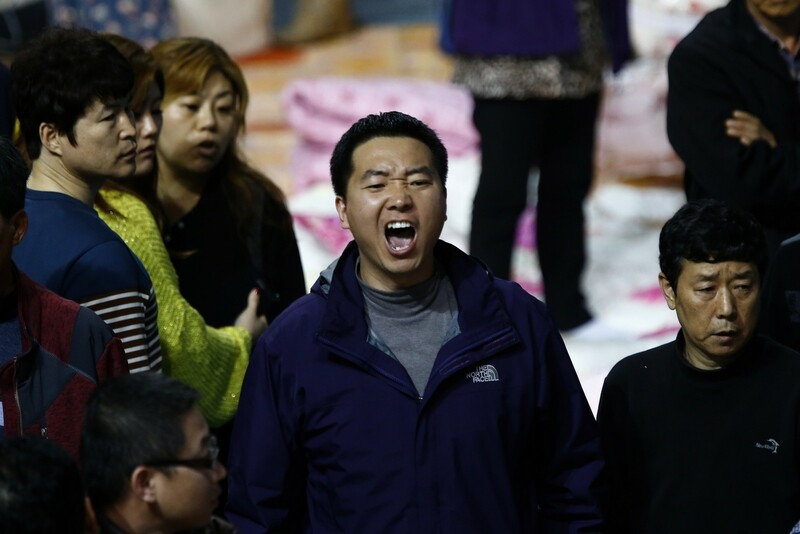 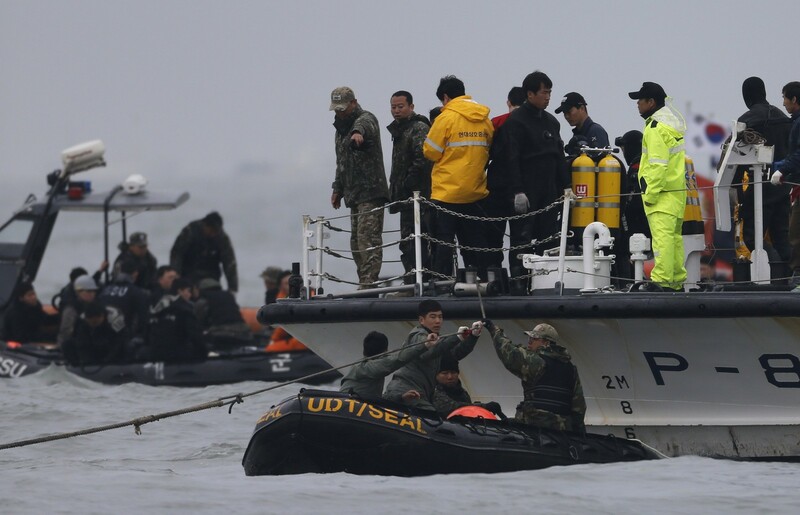 Of the 476 people believed to have been aboard the ill-fated vessel, no one has been found alive since it sank. 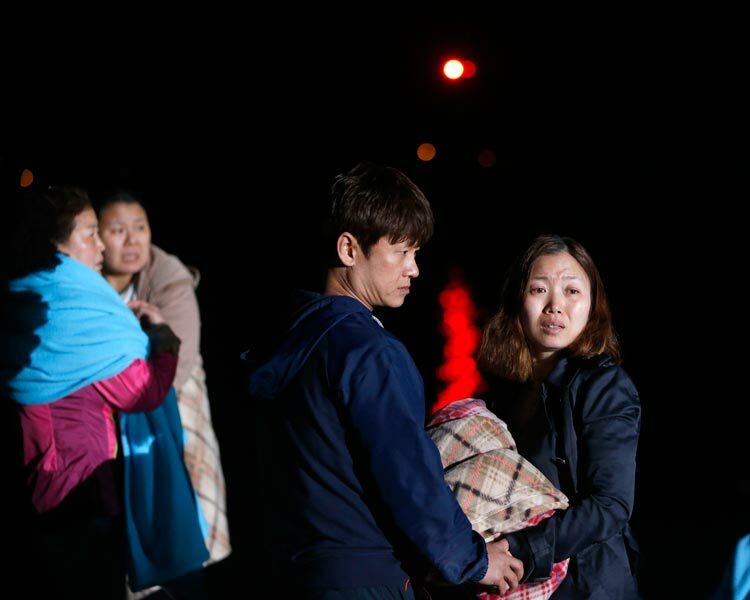 Families of the victimsnt have been camping out in Paengmok waiting for the news of a possible rescue, or body retrieval. 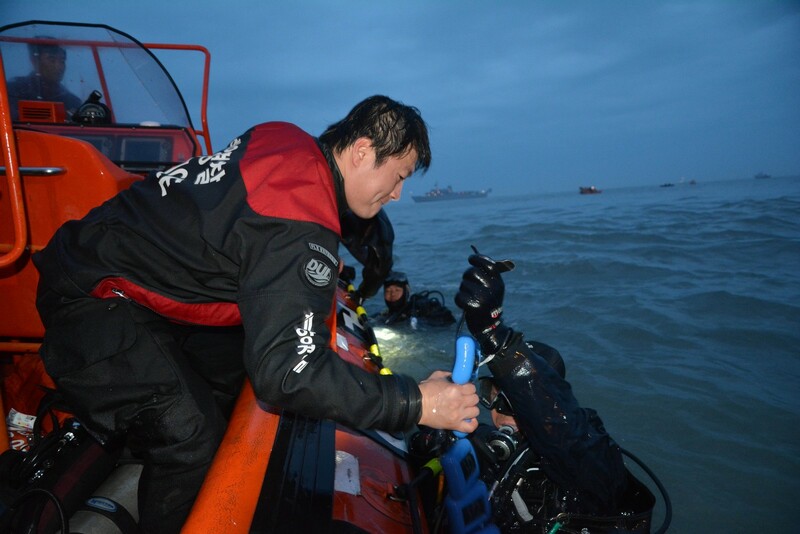 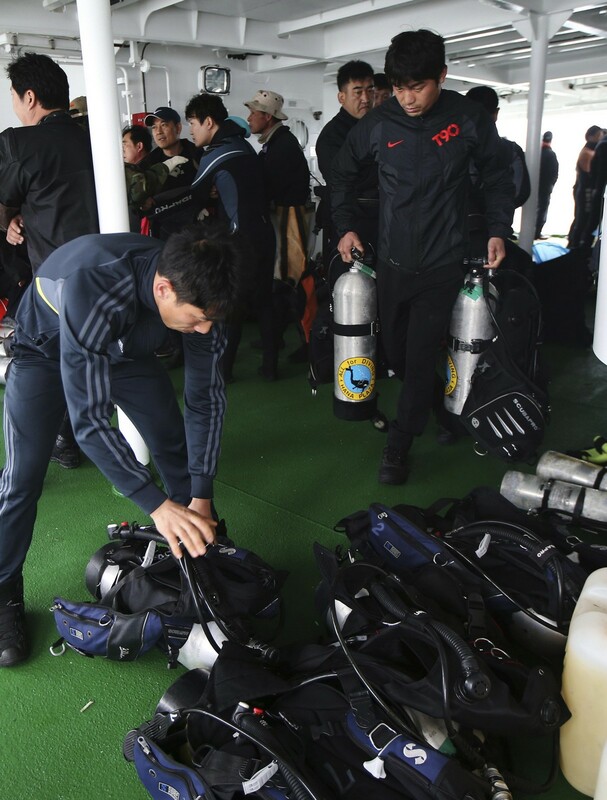 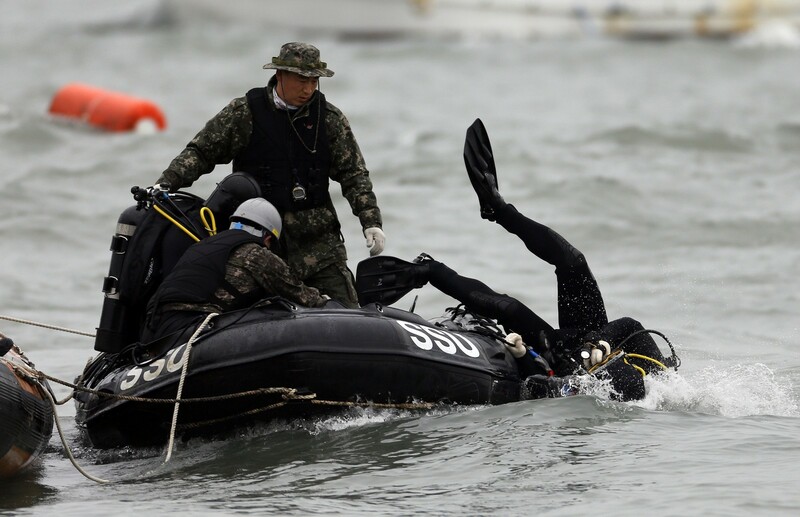 As of Sunday, bodies of 244 deceased people from the accident have been retrieved but around 60 are left missing despite intensive underwater search. 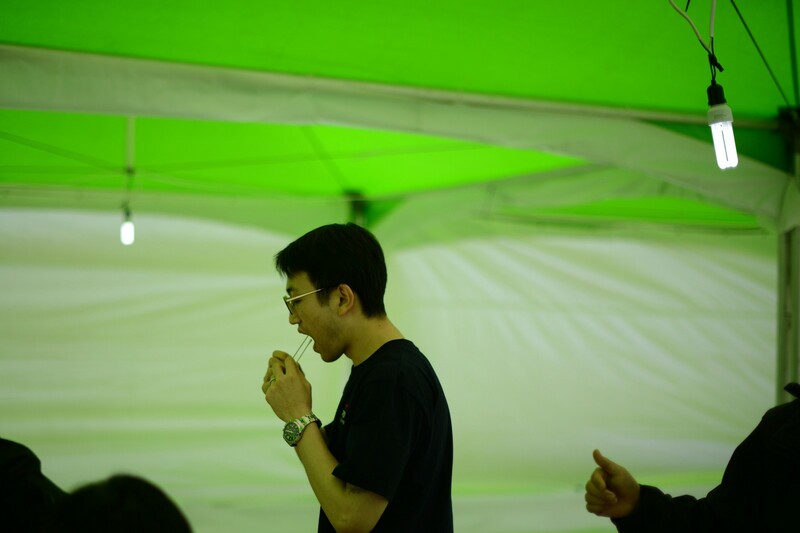 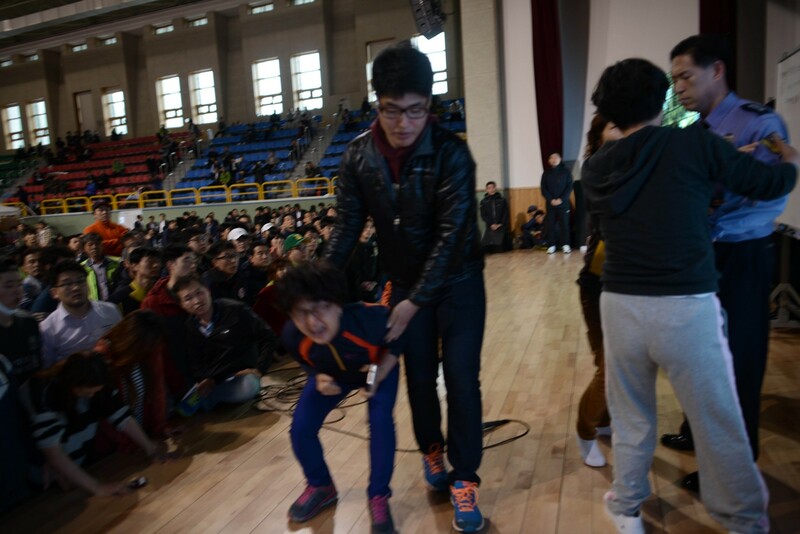 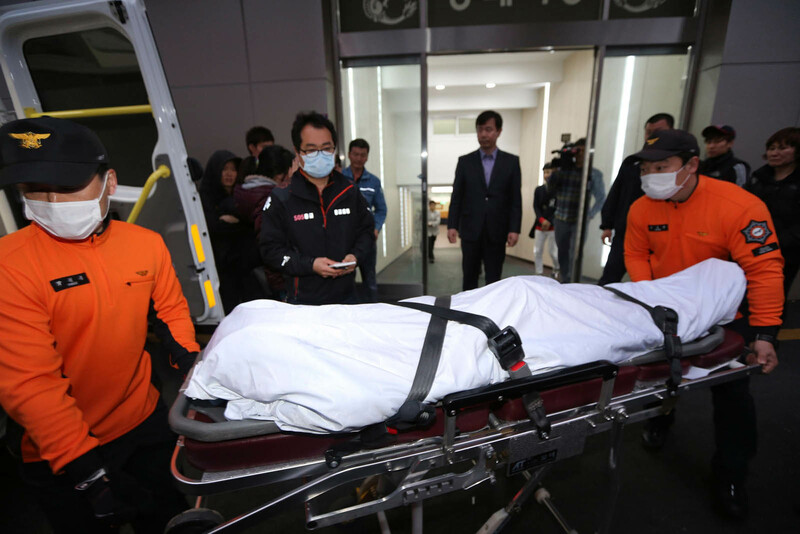 It was the second visit for Park, who made the first move on April 17, a day after the accident. 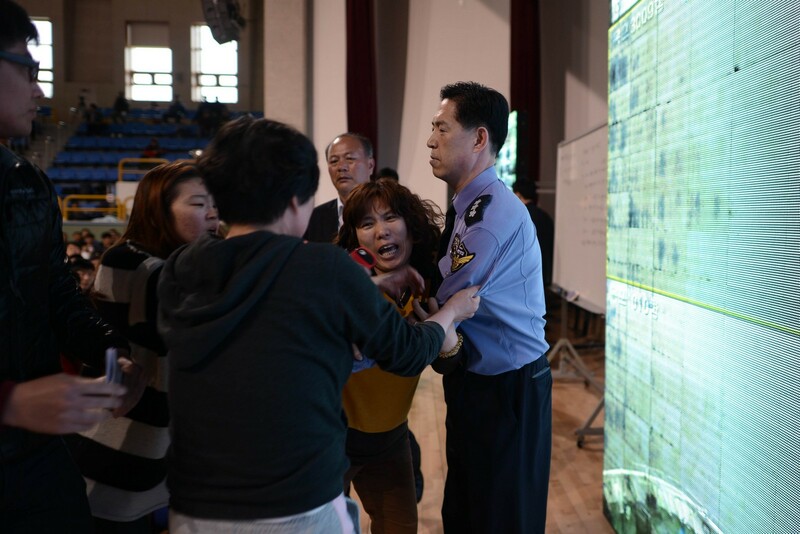 The meeting between the president and the family members was held behind closed doors and media crew were later briefed of the encounter. 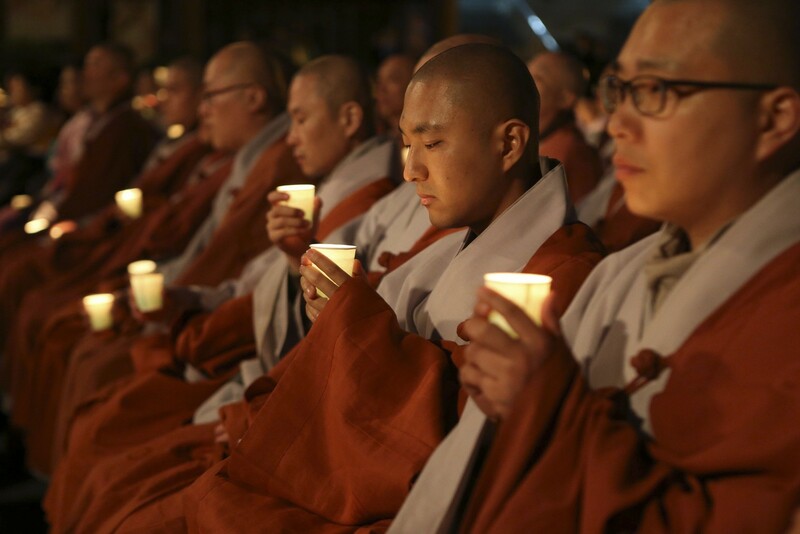 "You must feel your heart burn. 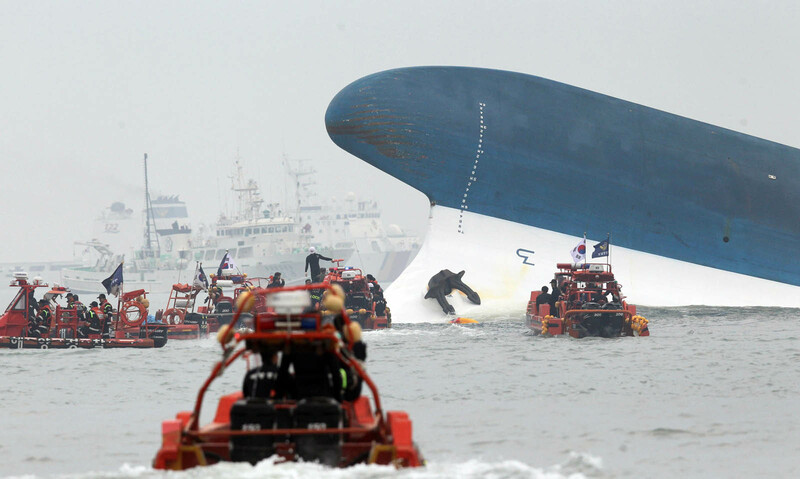 I really feel sorry for that. 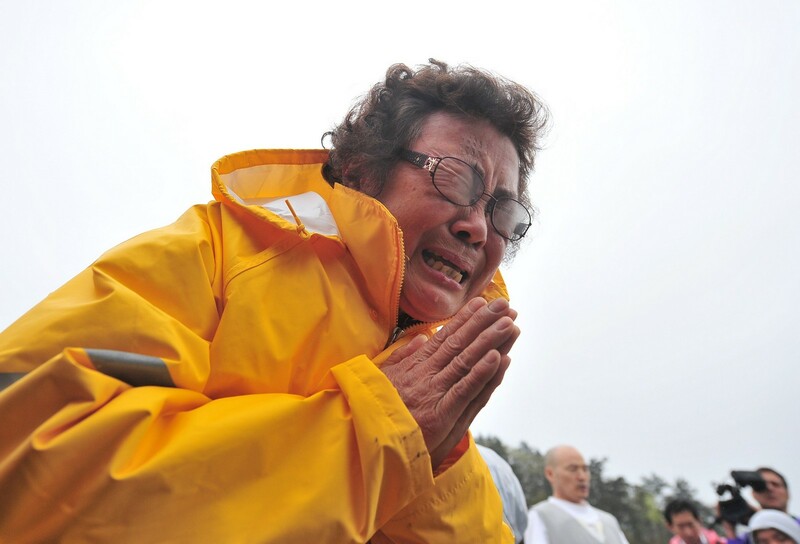 I know how it feels to lose your family. 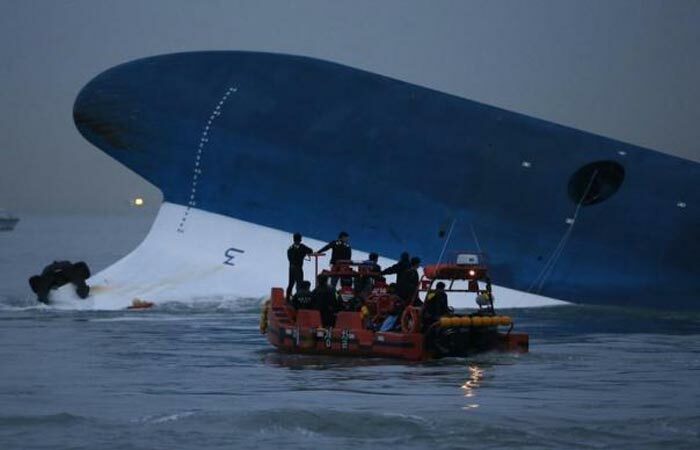 I have been there," she reportedly said. 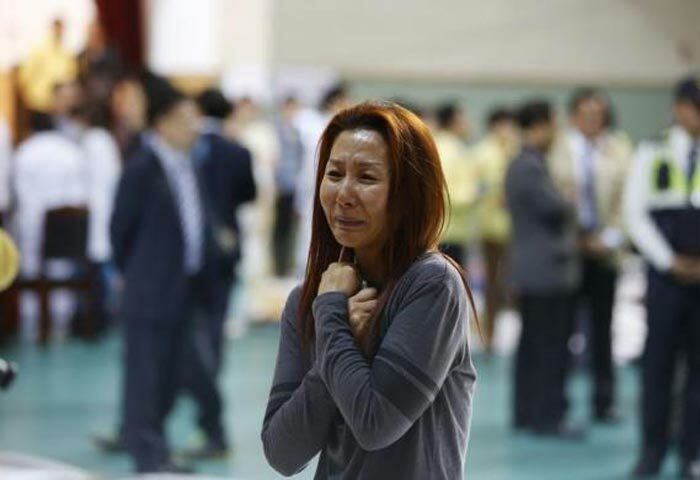 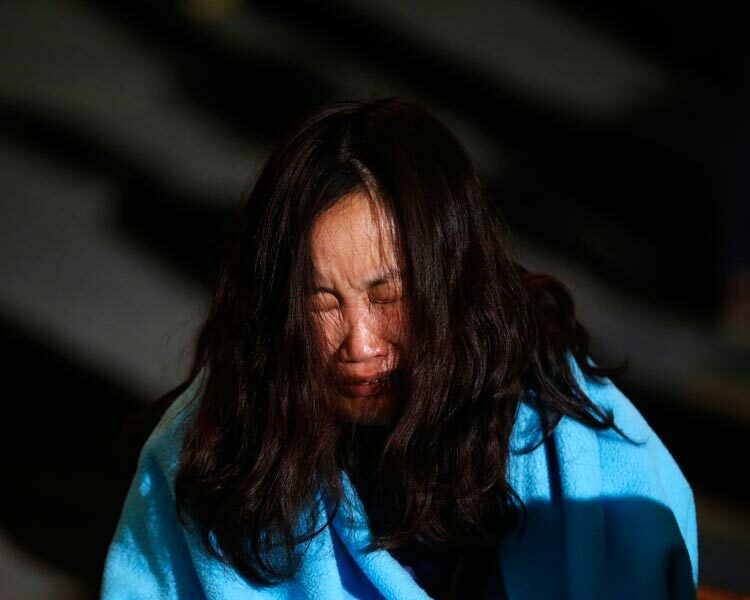 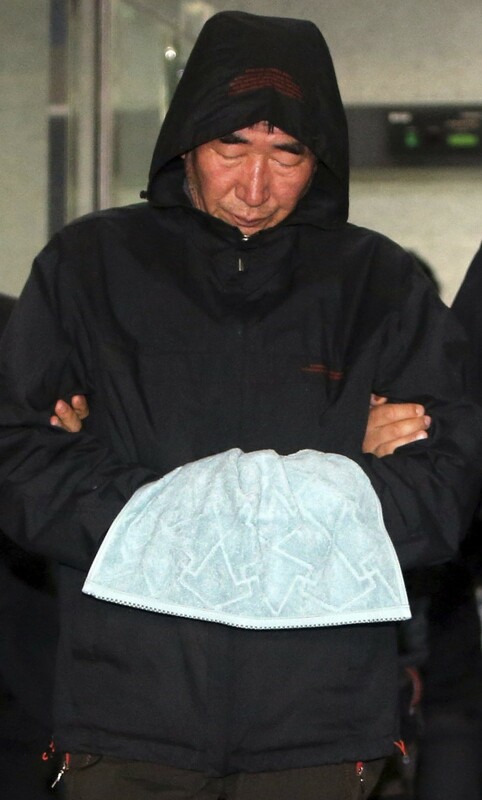 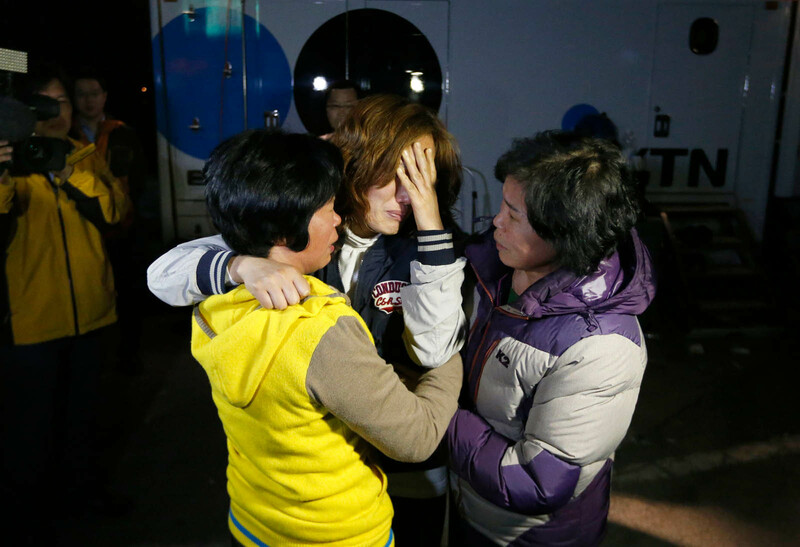 Park lost her mother Yook Yeong-soo in 1974 to Moon Se-kwang, who shot her to death at a public event. 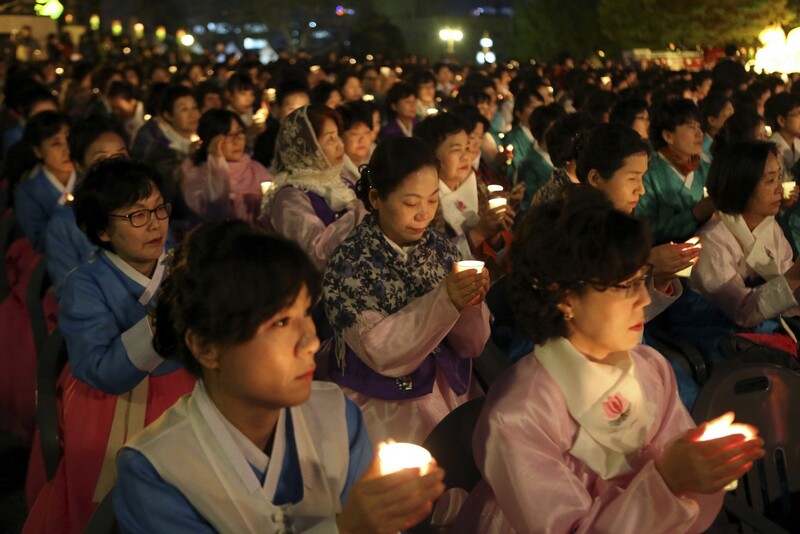 Korea's first woman president lost her father, former president Park Chung-hee in 1979, who was assassinated by his close aide. 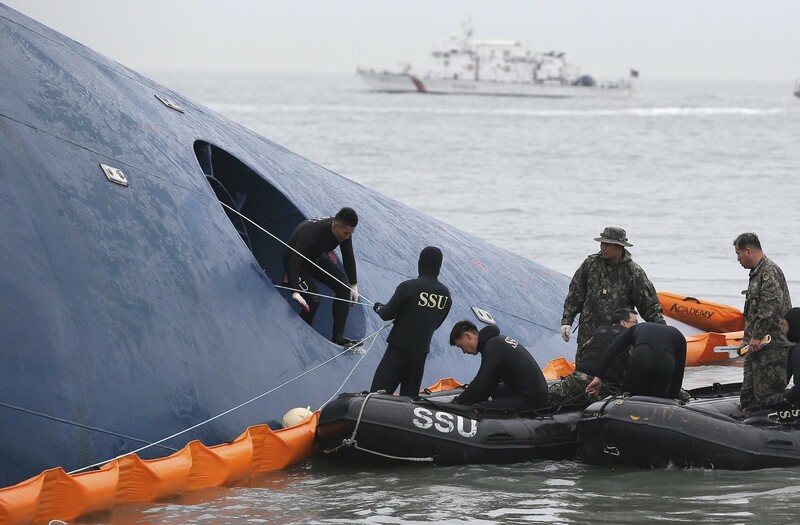 When one of the family members asked her about what she would do with Lee Ju-young, minister of ocean and fisheries, which overlooks marine affairs, the president answered: "Anyone held responsible of the accident, anyone with faults will be tracked down and penalized. 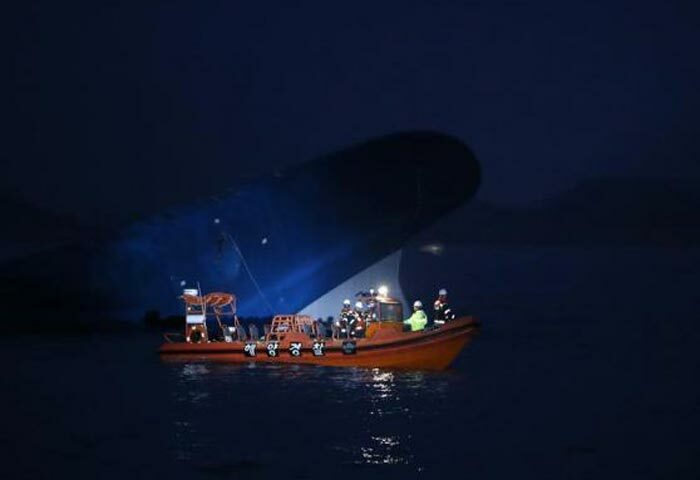 We are still studying the reason to the accident. 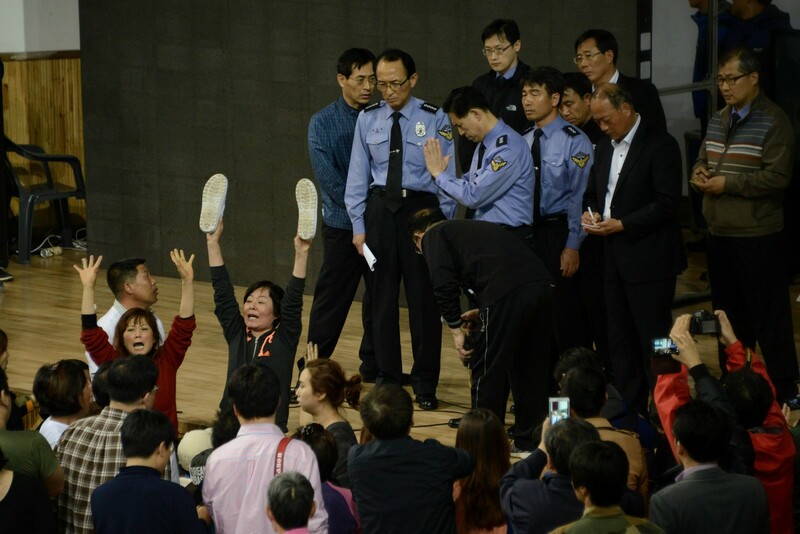 We will heavily punish public officials who have not done their duties properly," she said. 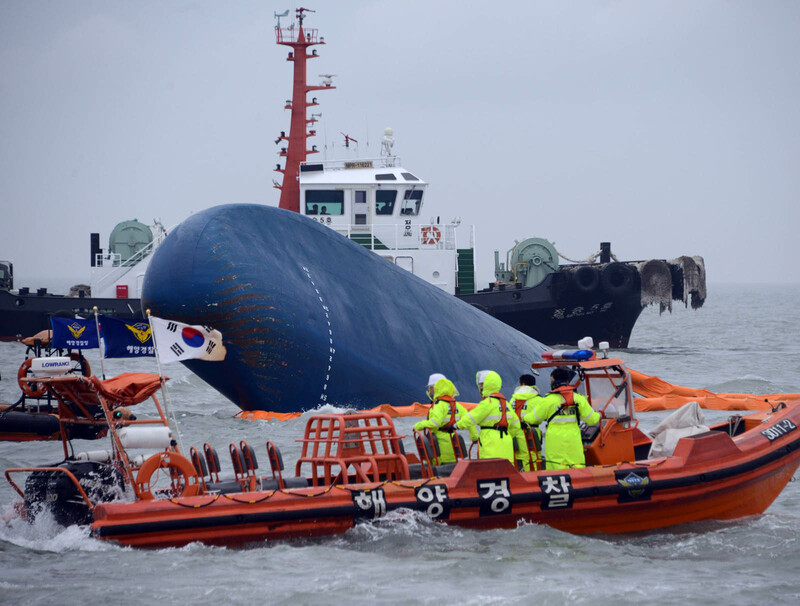 Park's visit to the southern port is seen as a desperate bid to settle public antipathy toward the administration's inability to cope with the ship wreck. 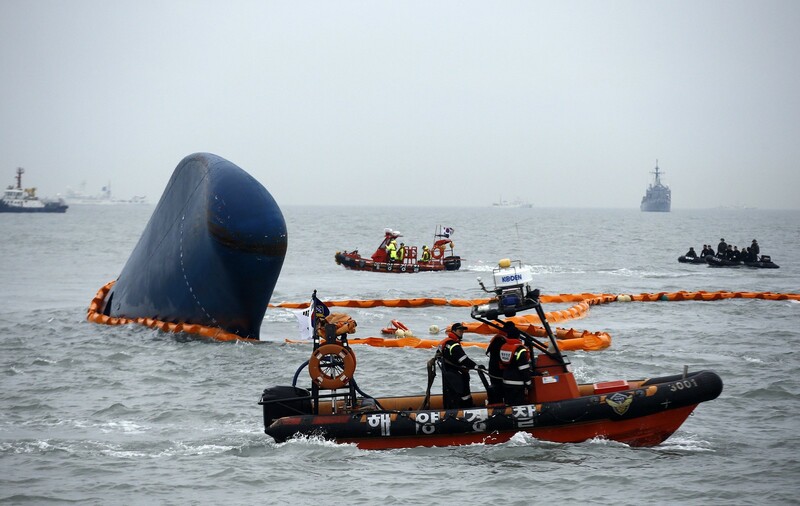 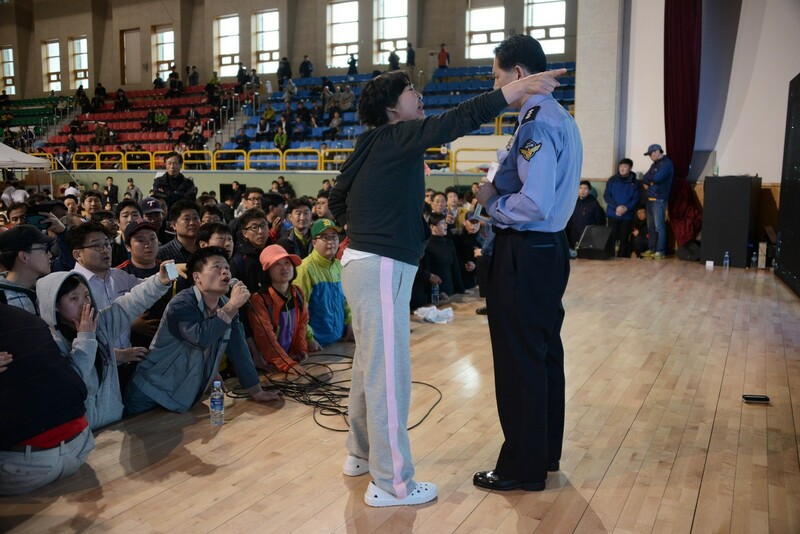 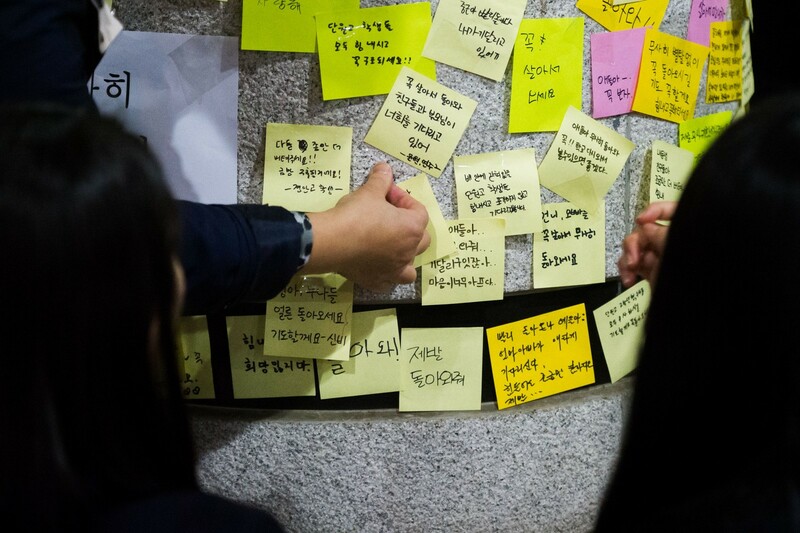 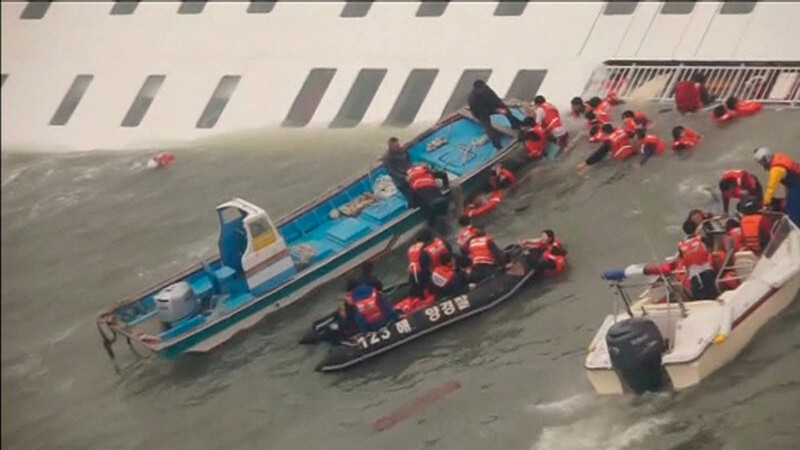 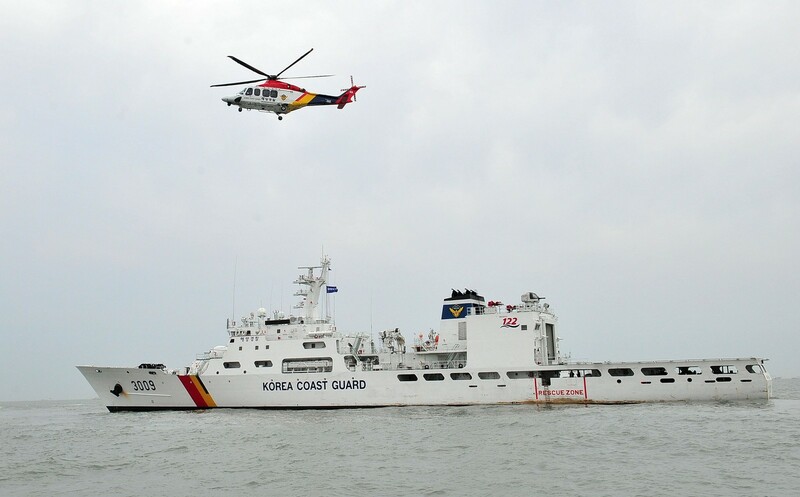 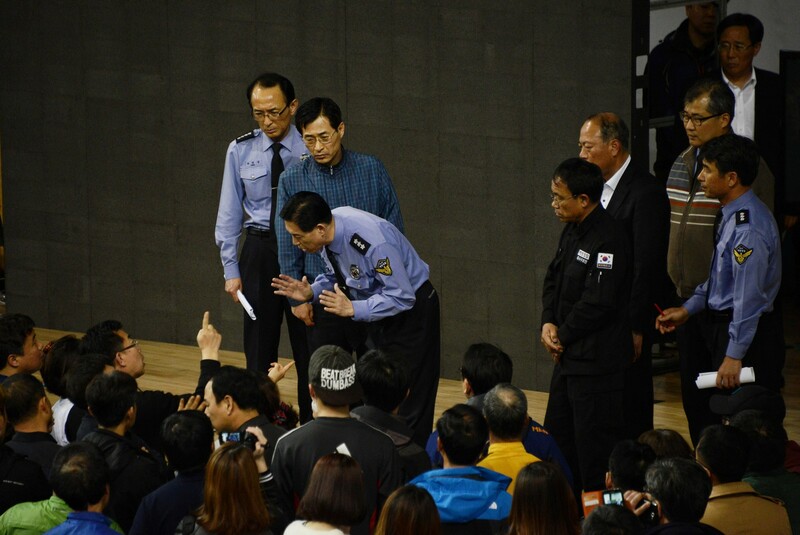 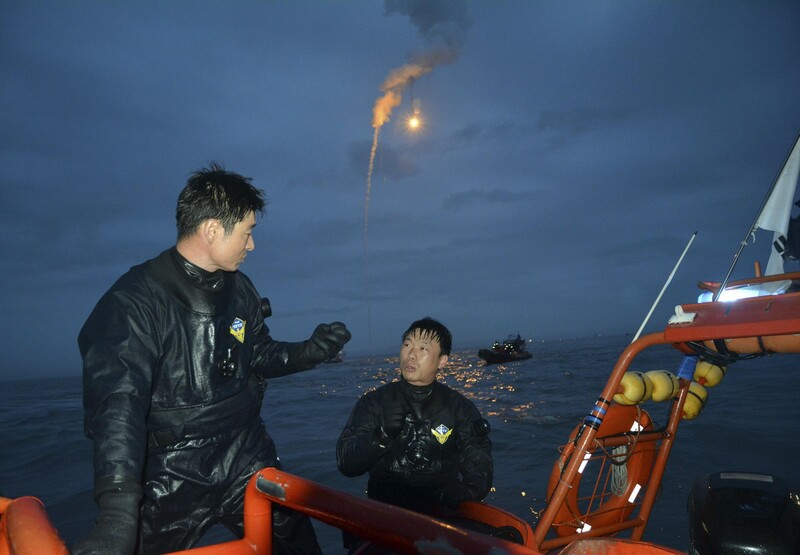 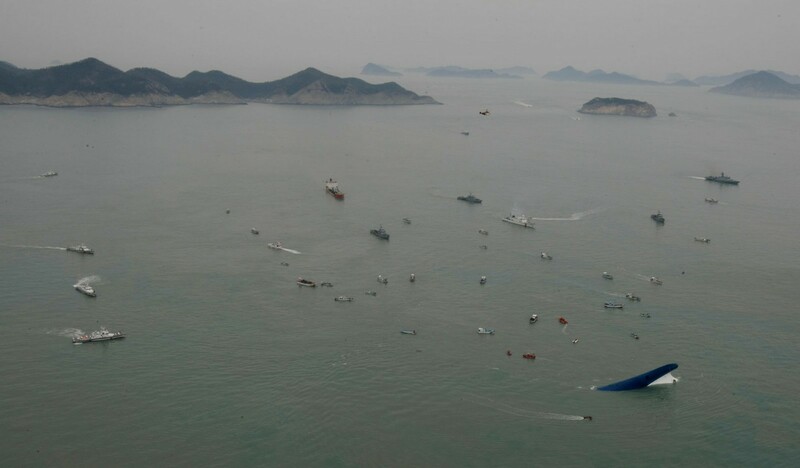 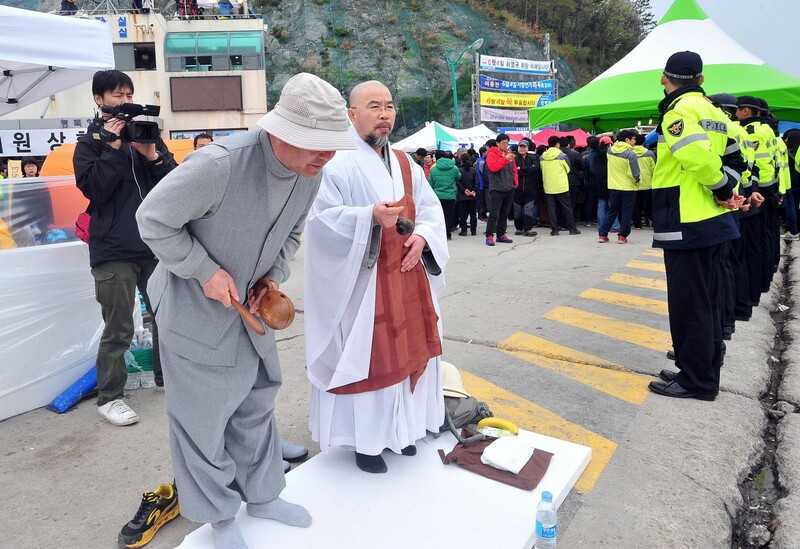 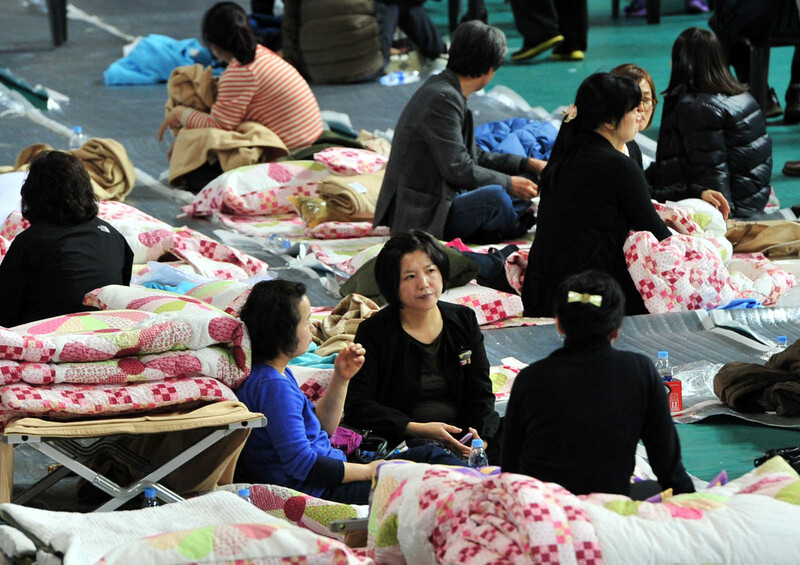 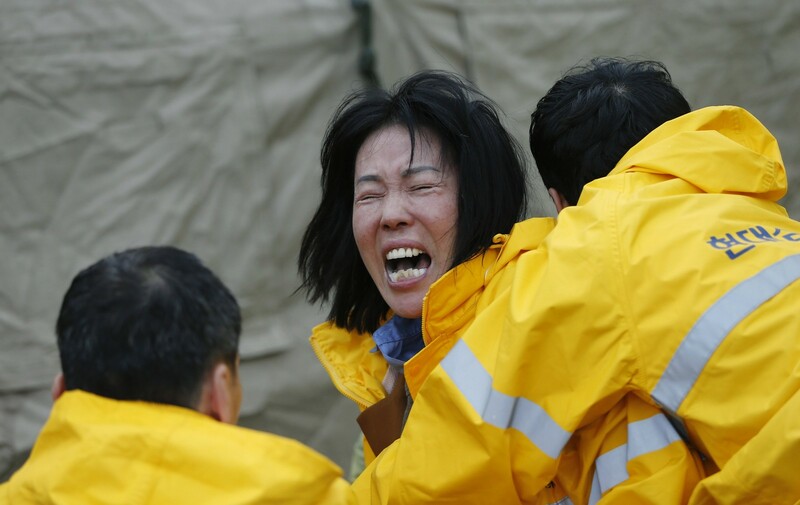 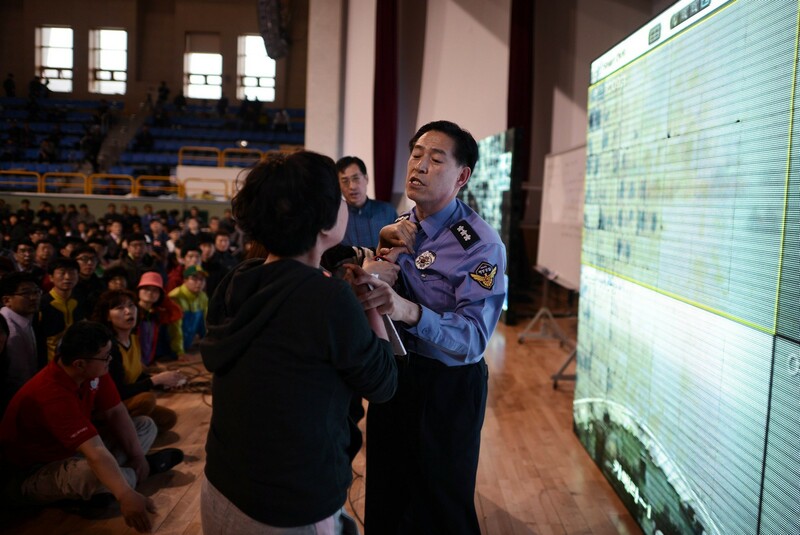 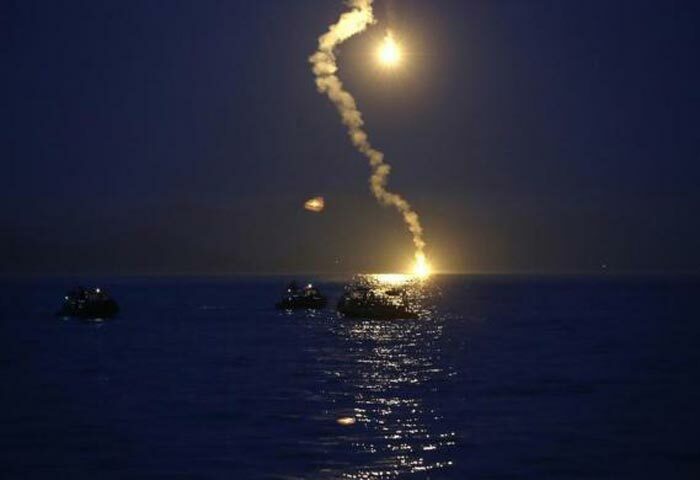 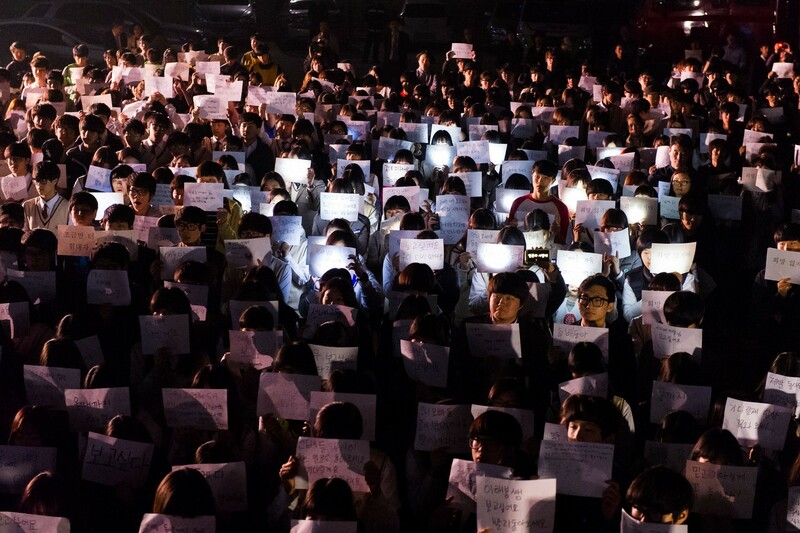 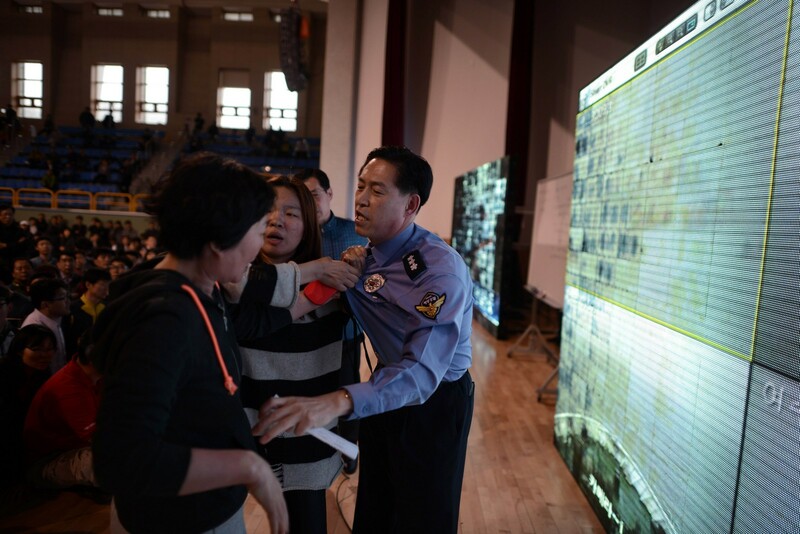 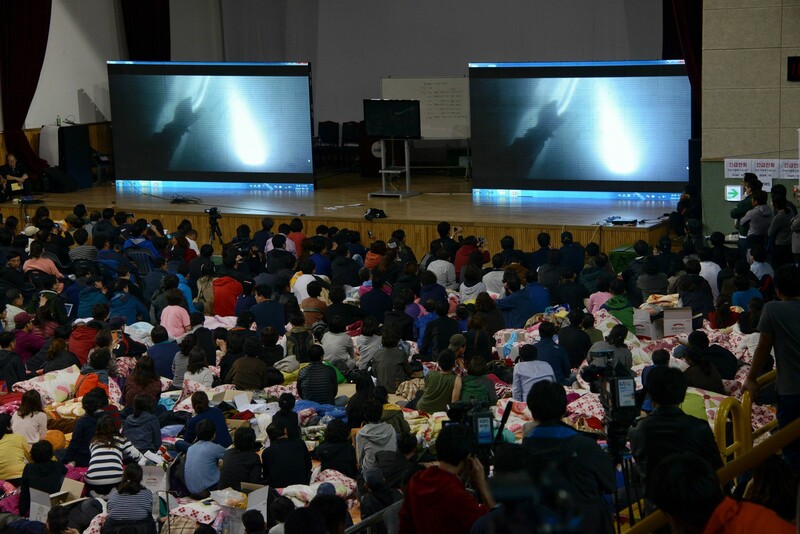 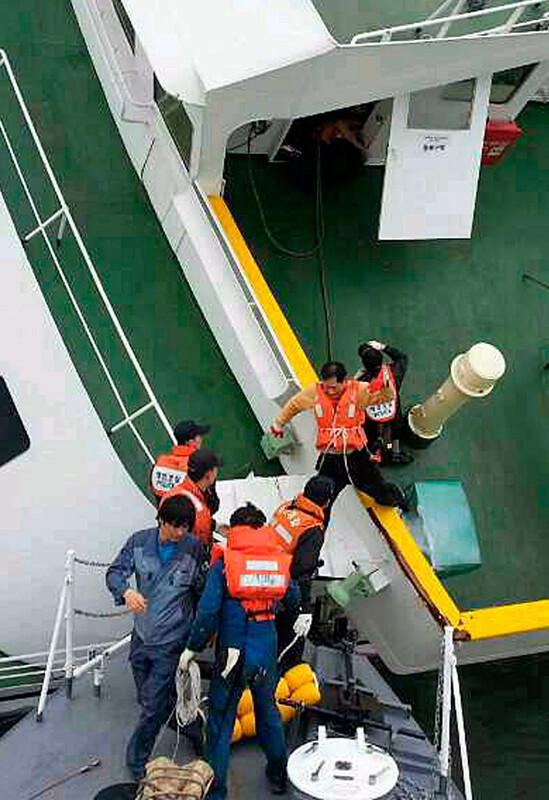 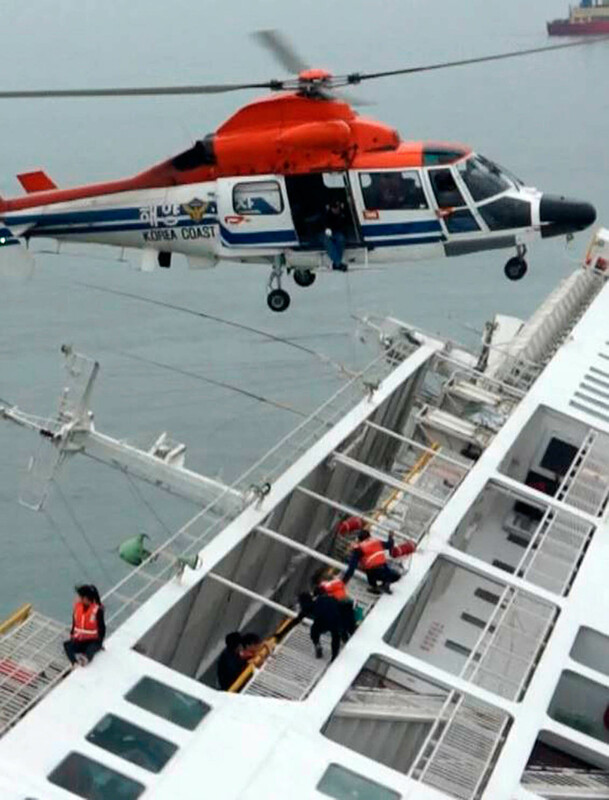 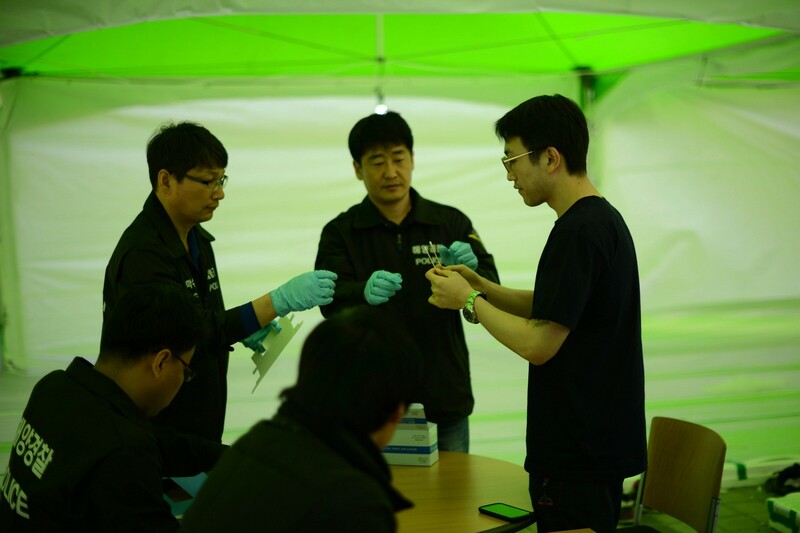 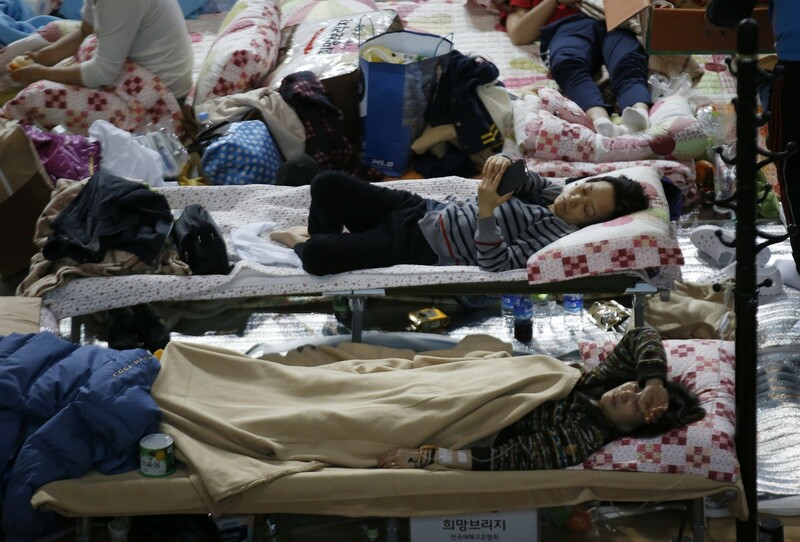 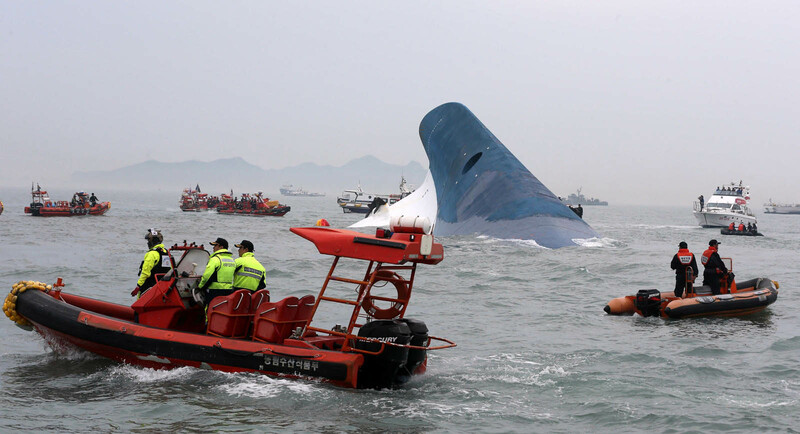 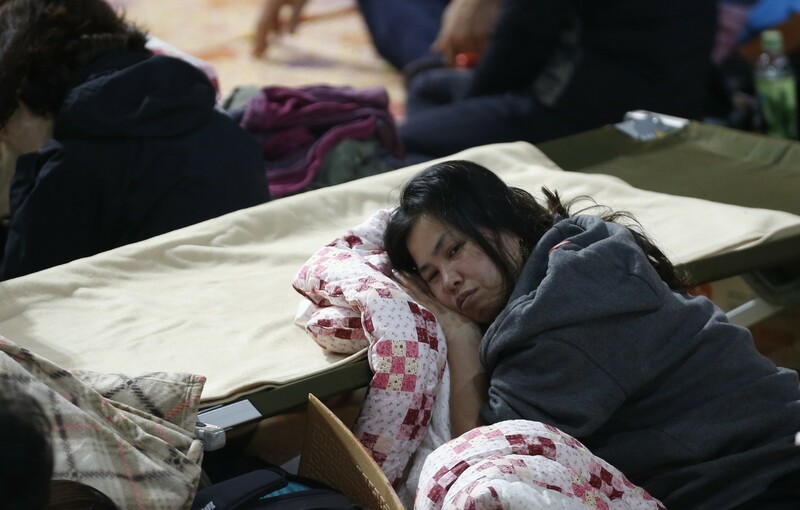 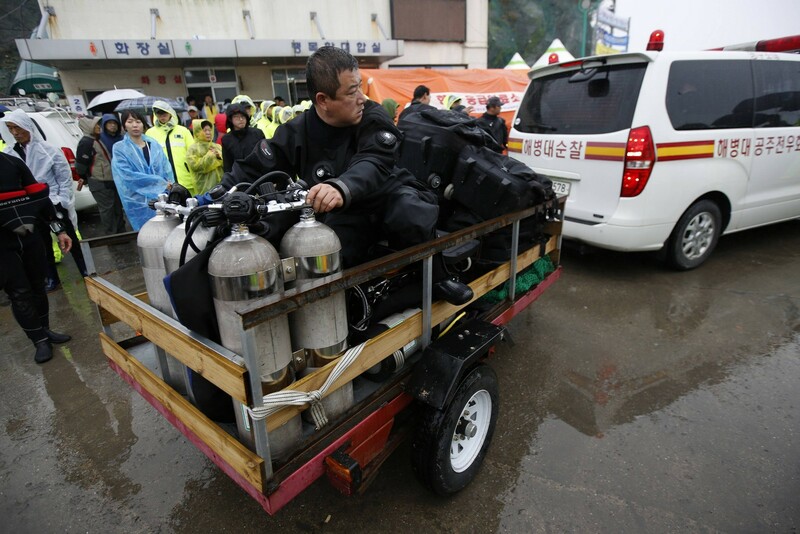 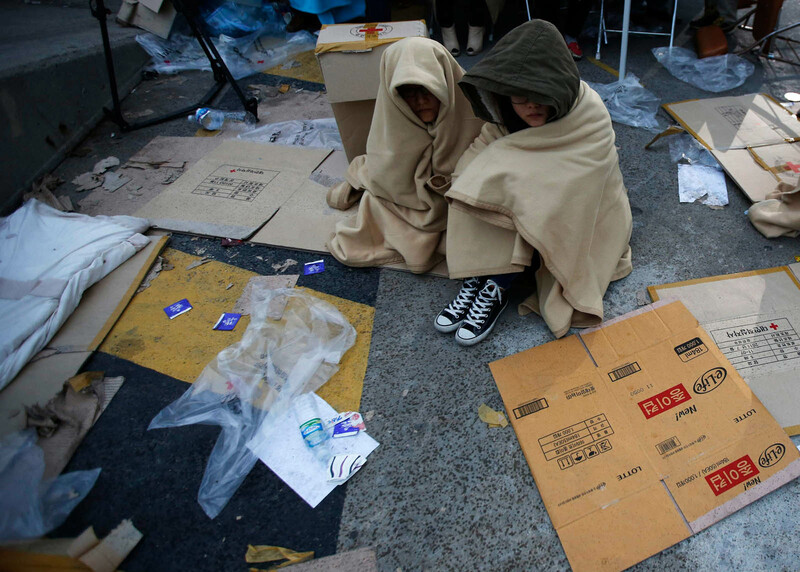 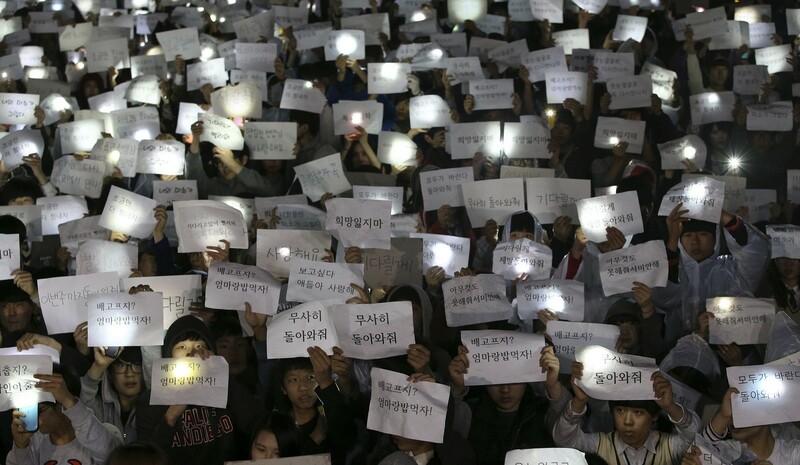 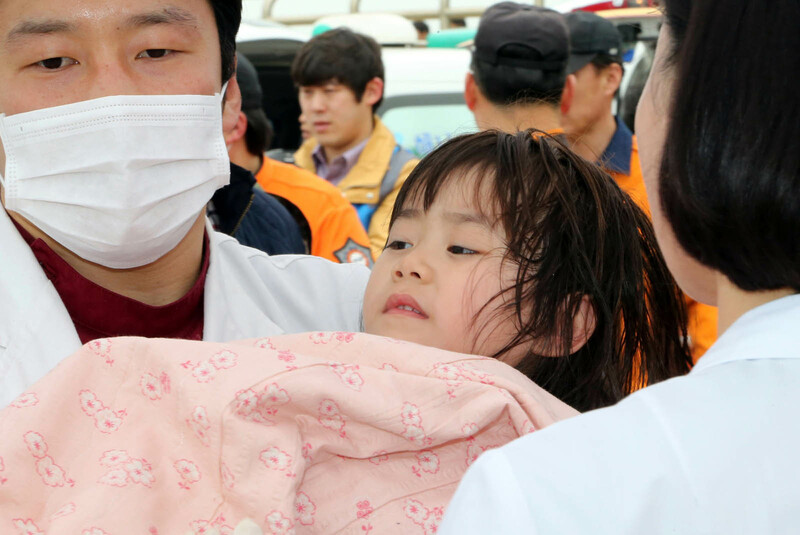 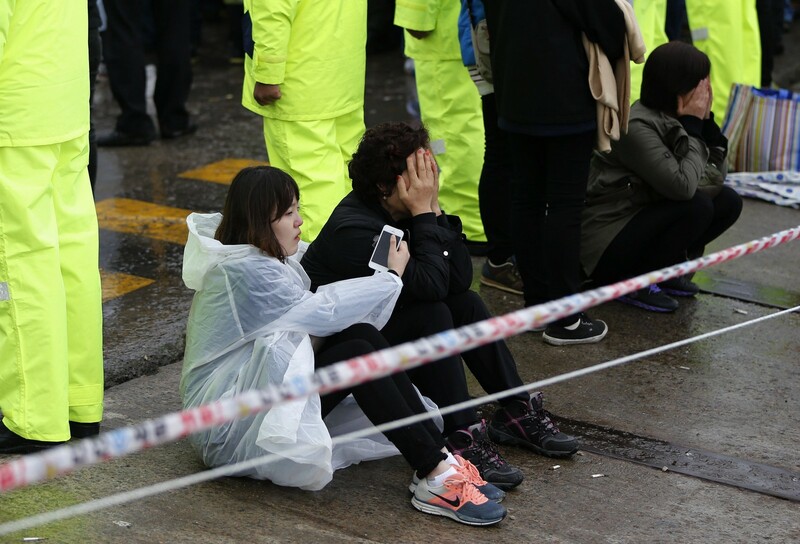 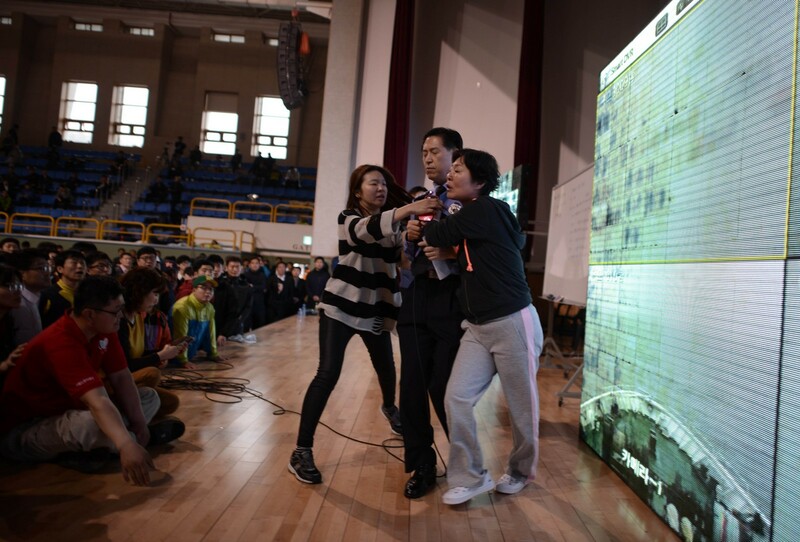 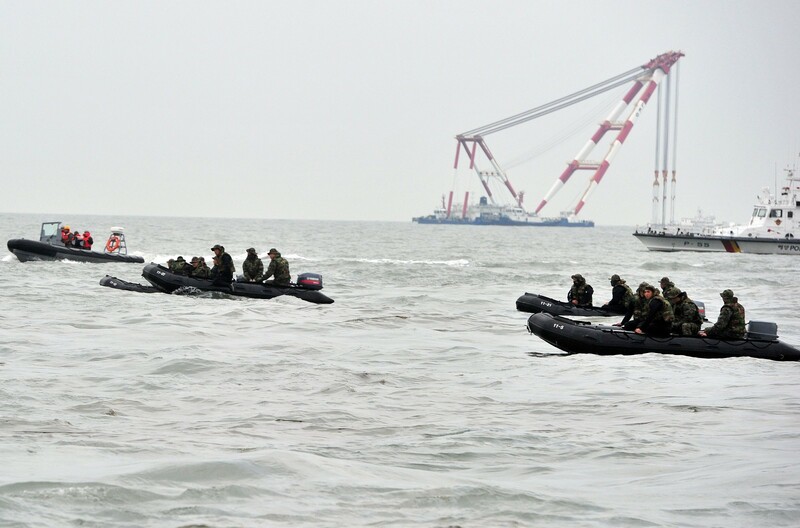 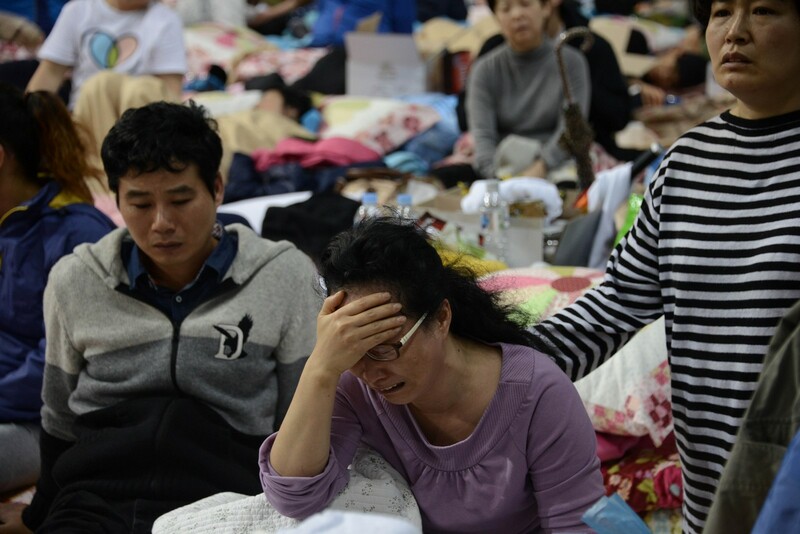 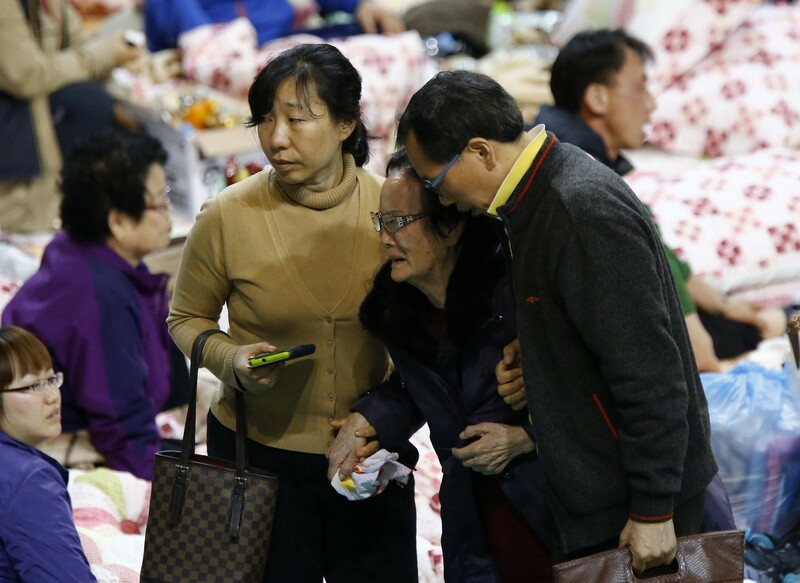 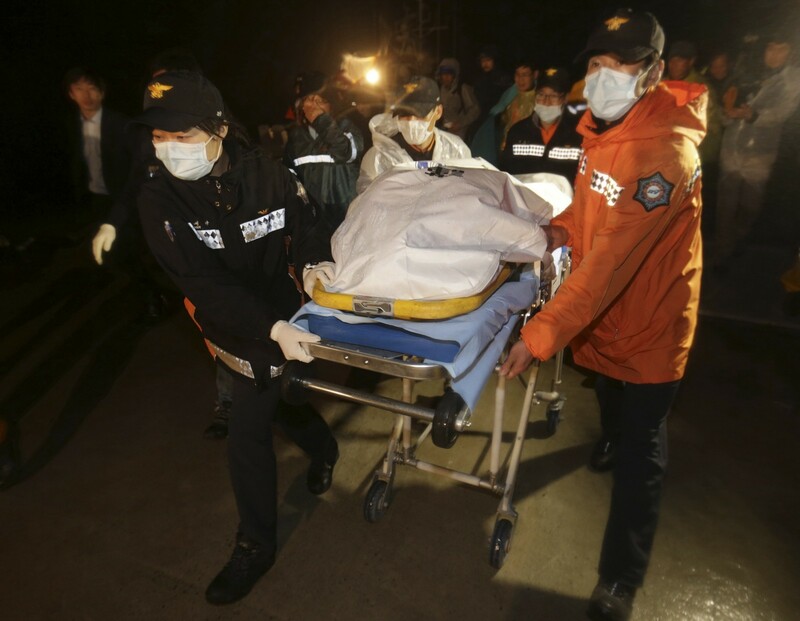 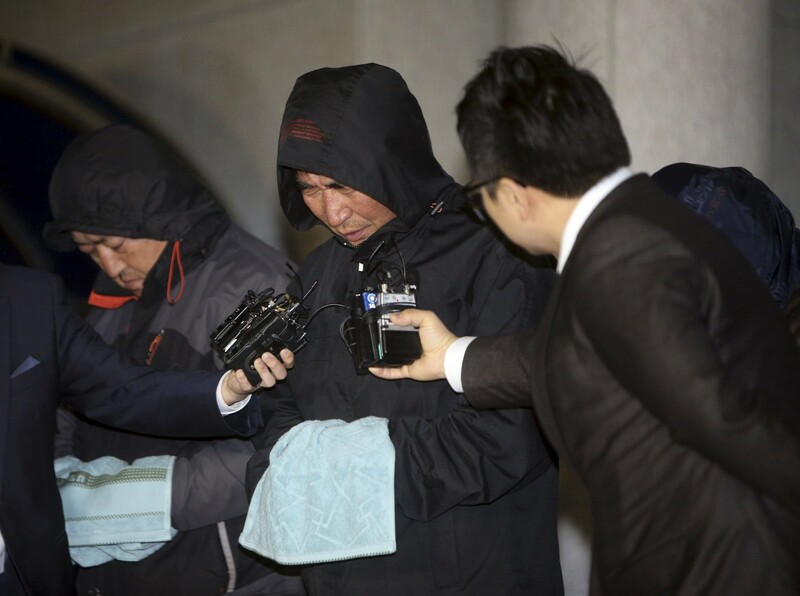 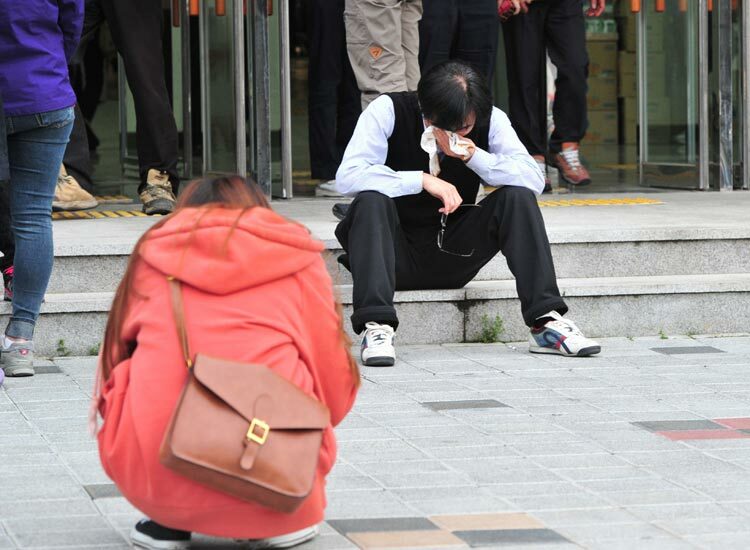 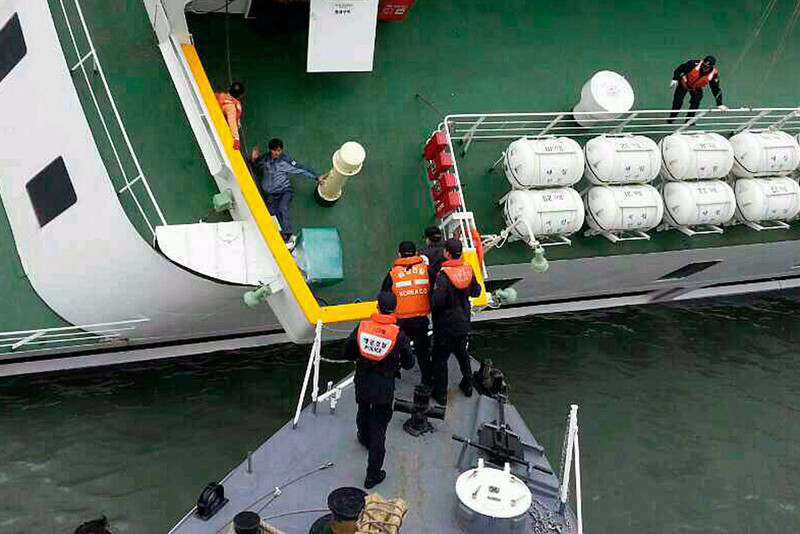 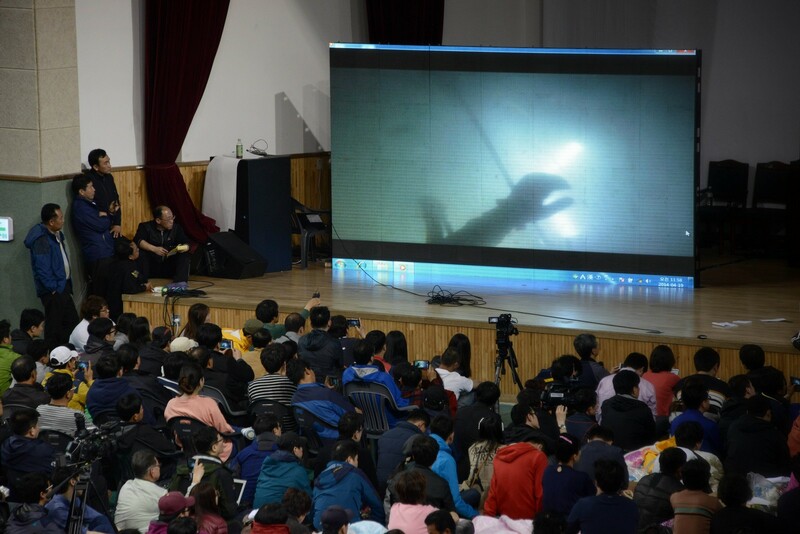 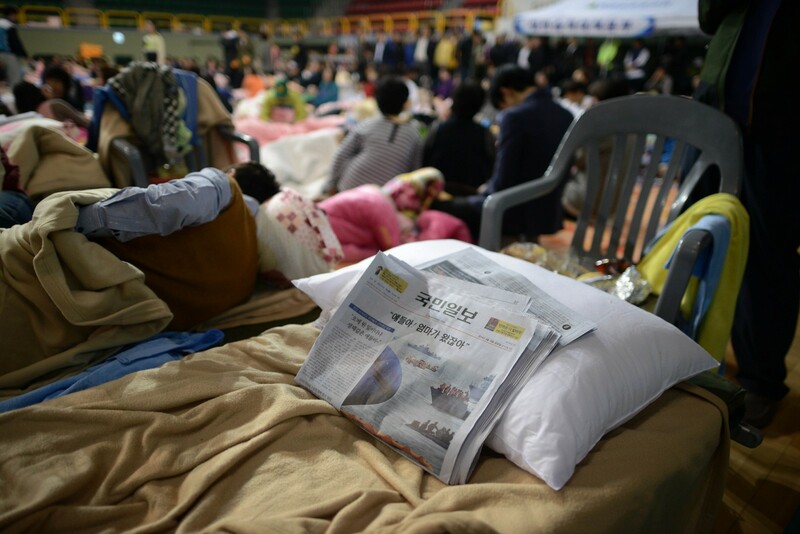 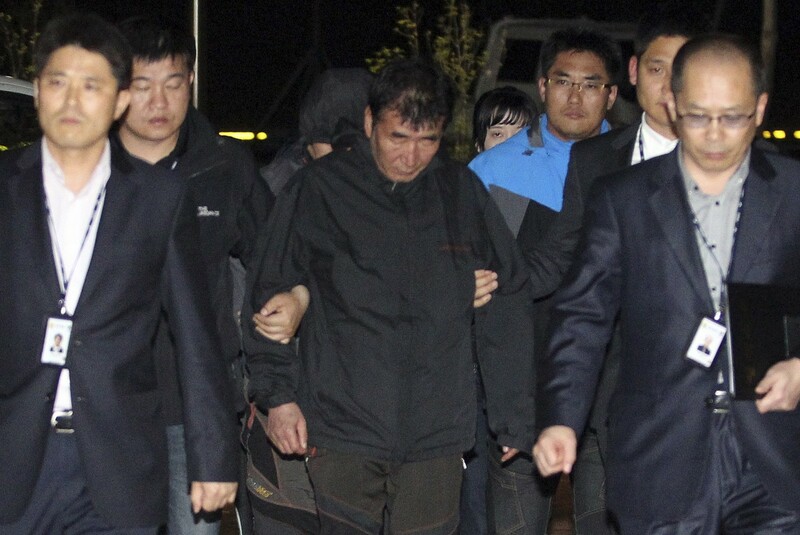 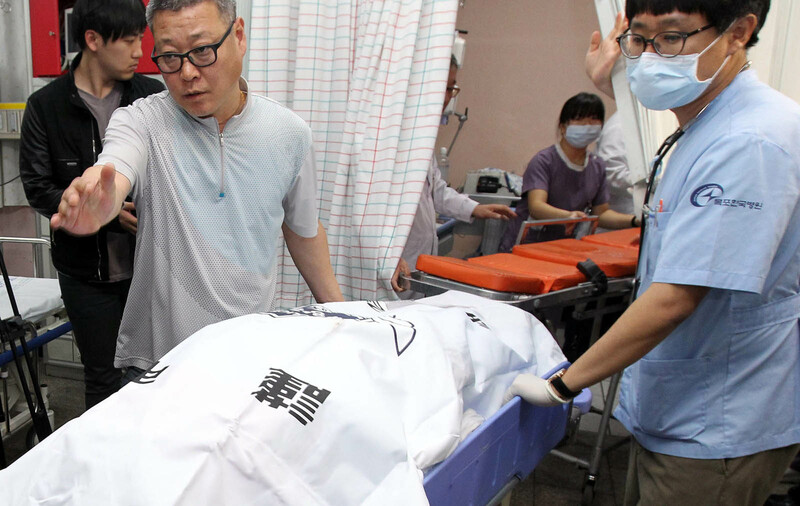 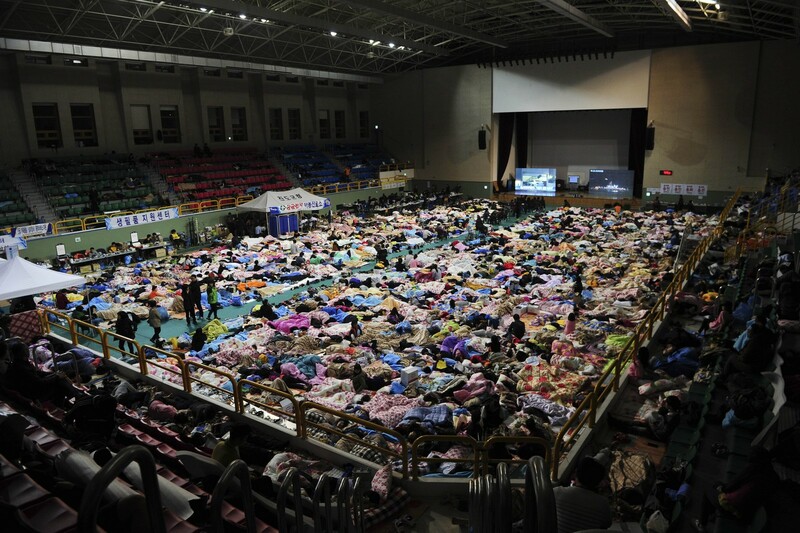 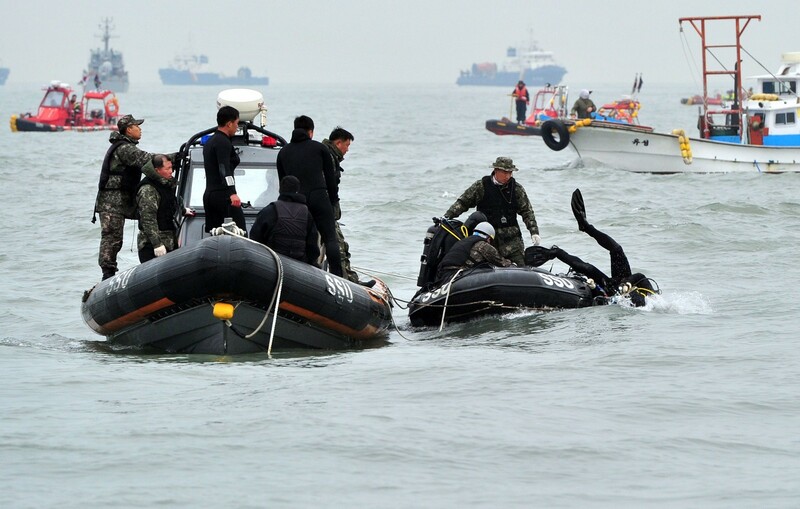 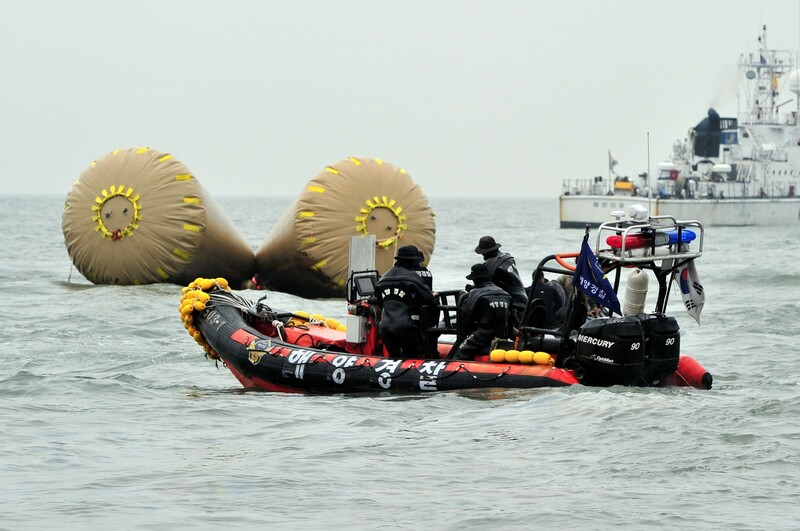 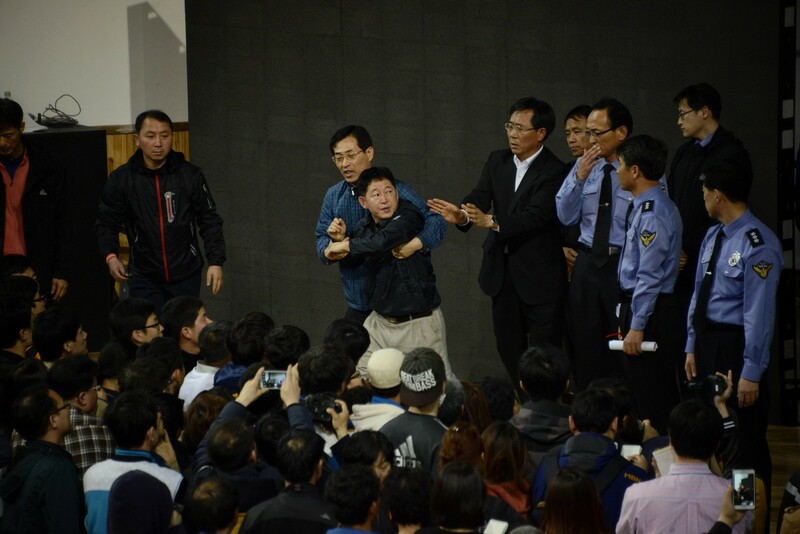 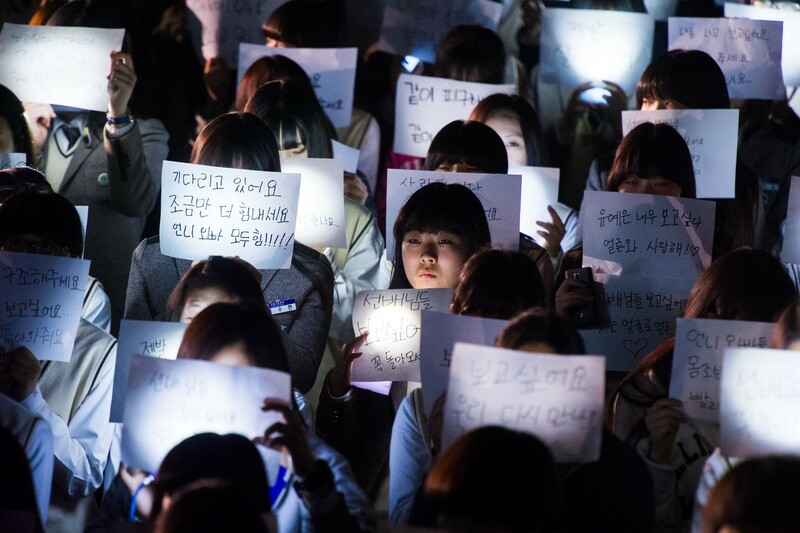 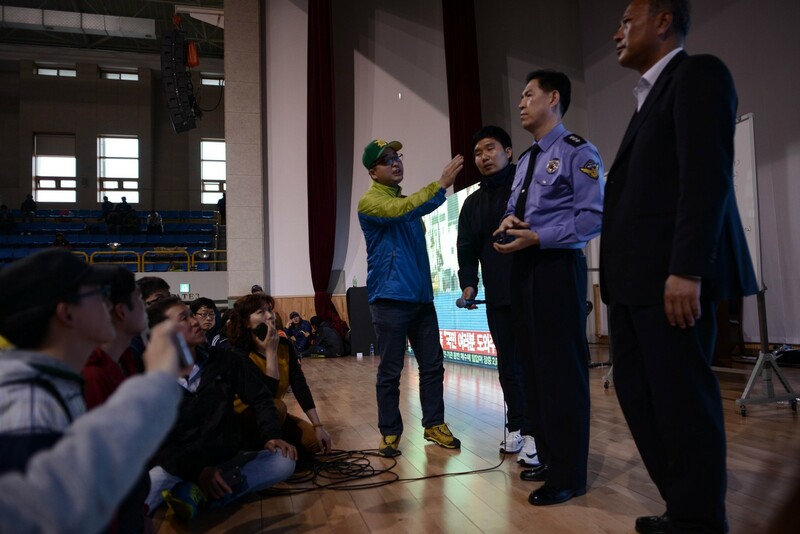 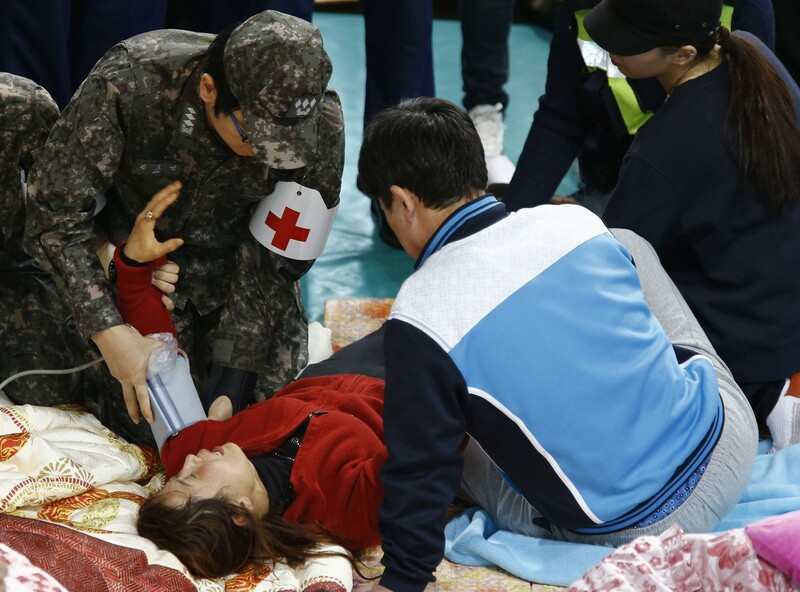 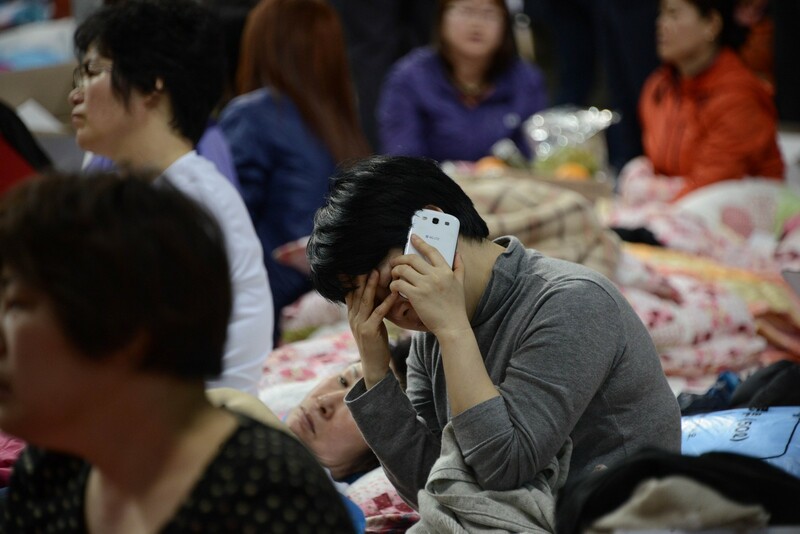 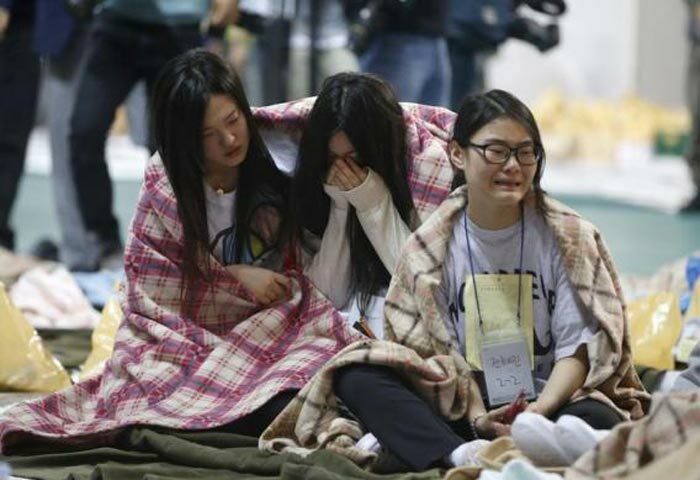 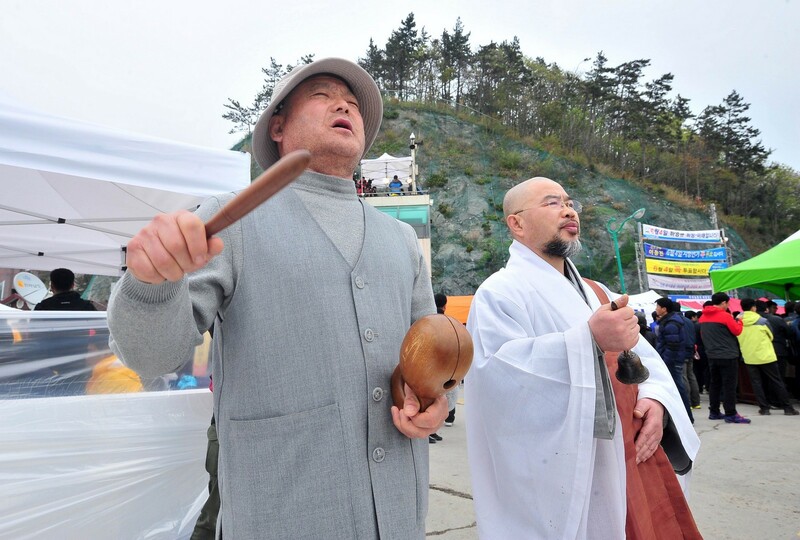 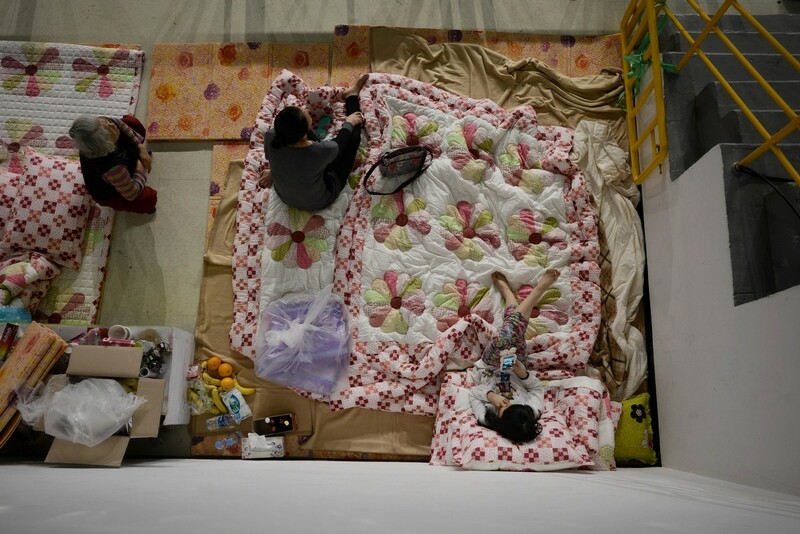 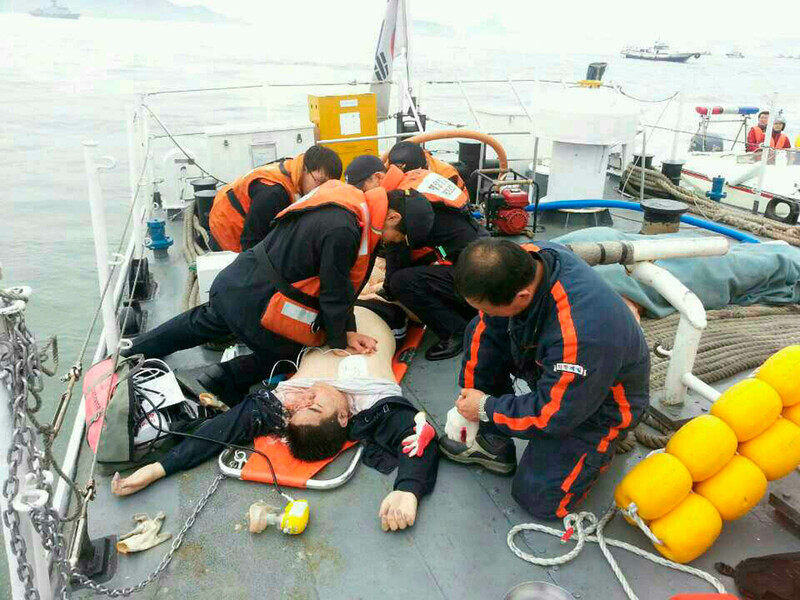 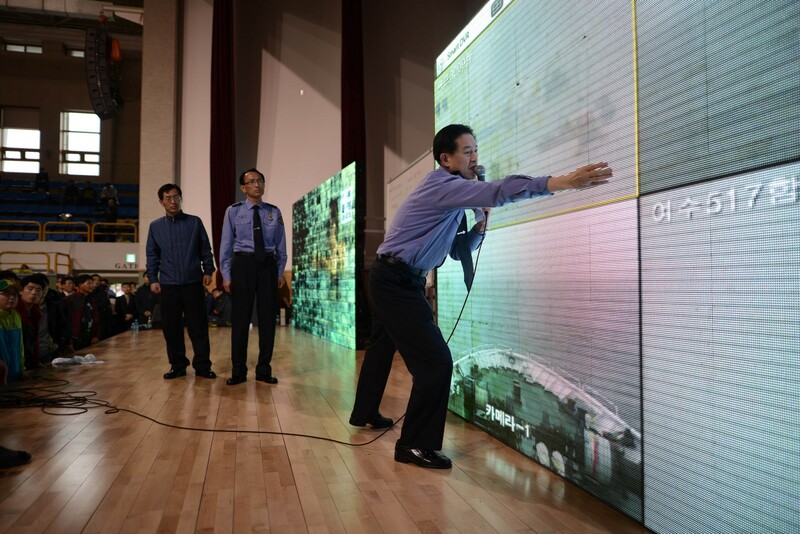 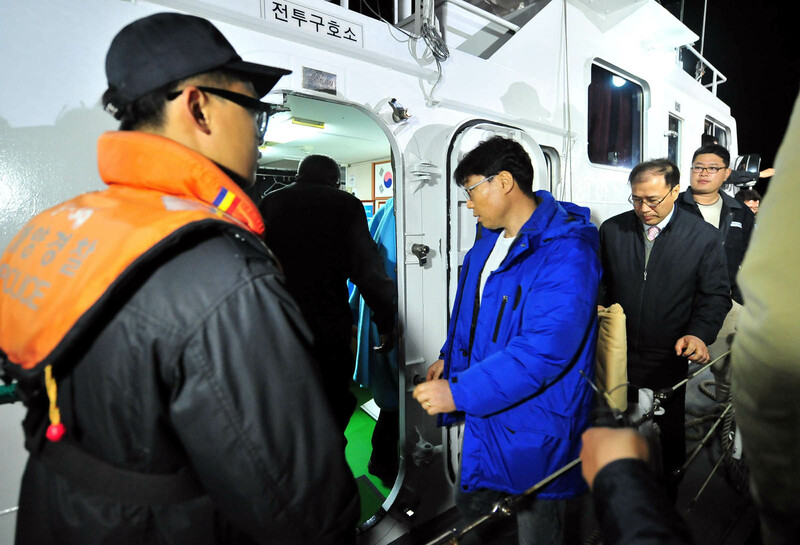 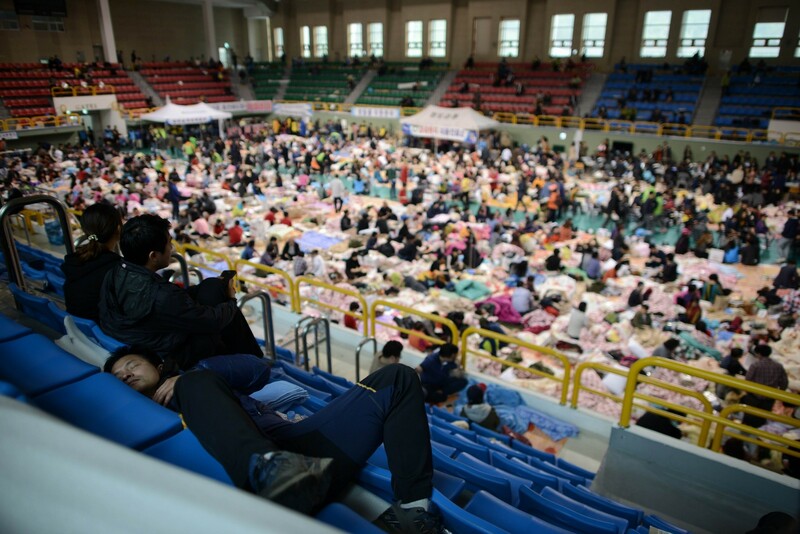 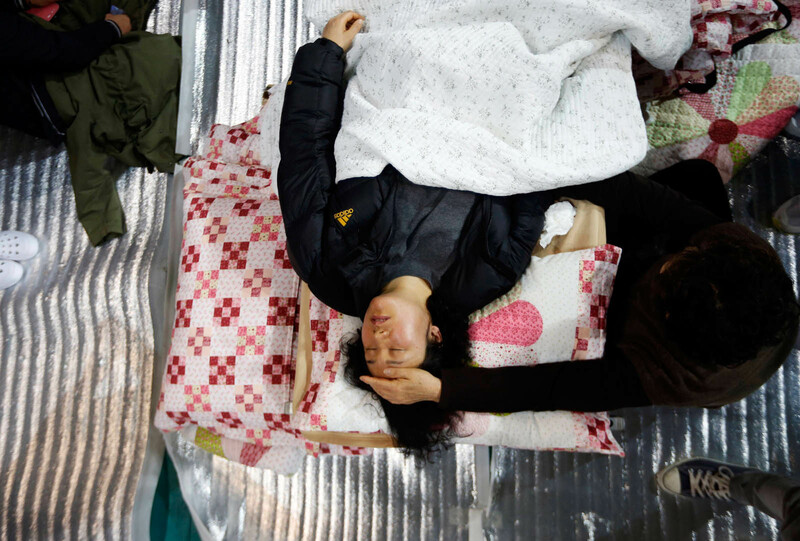 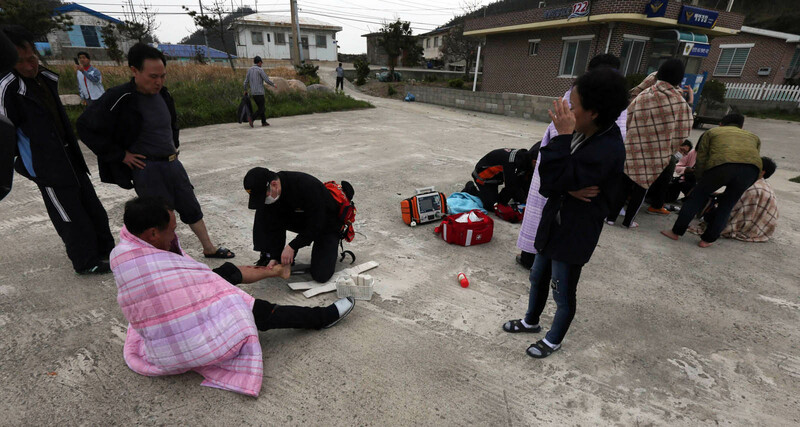 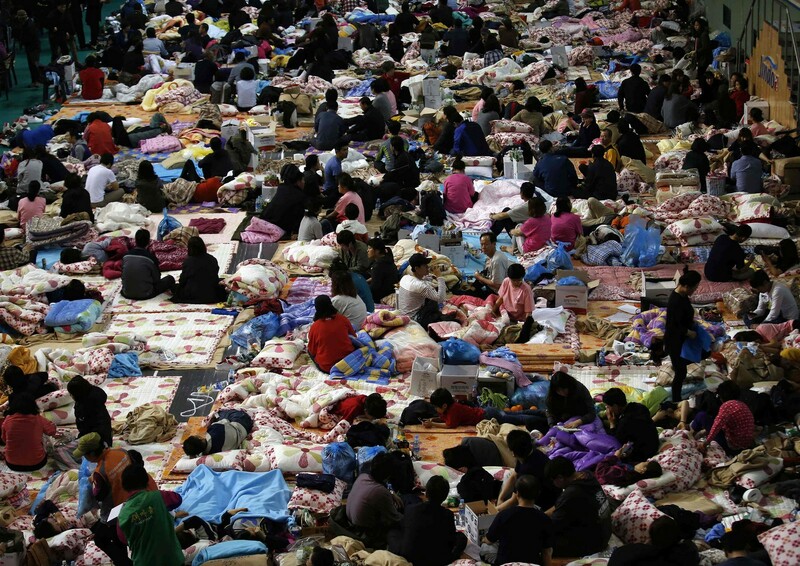 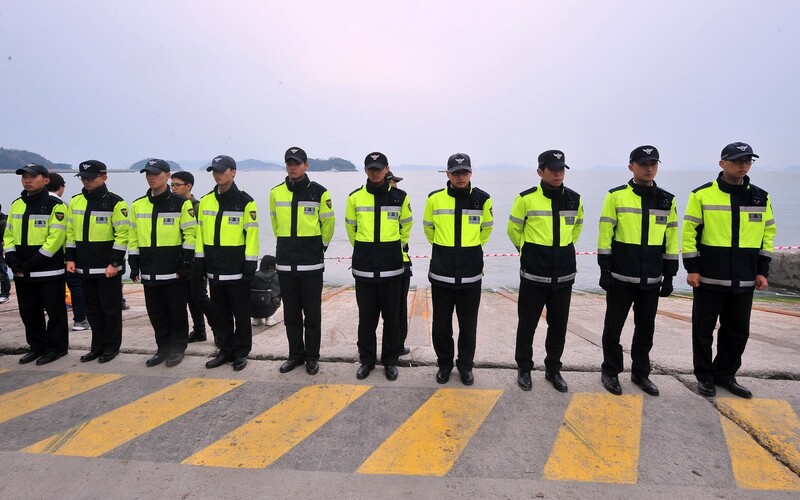 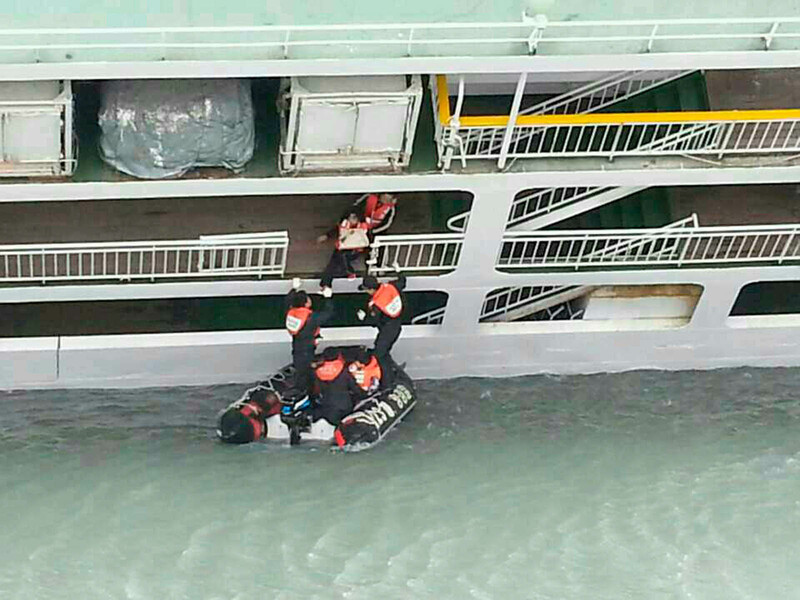 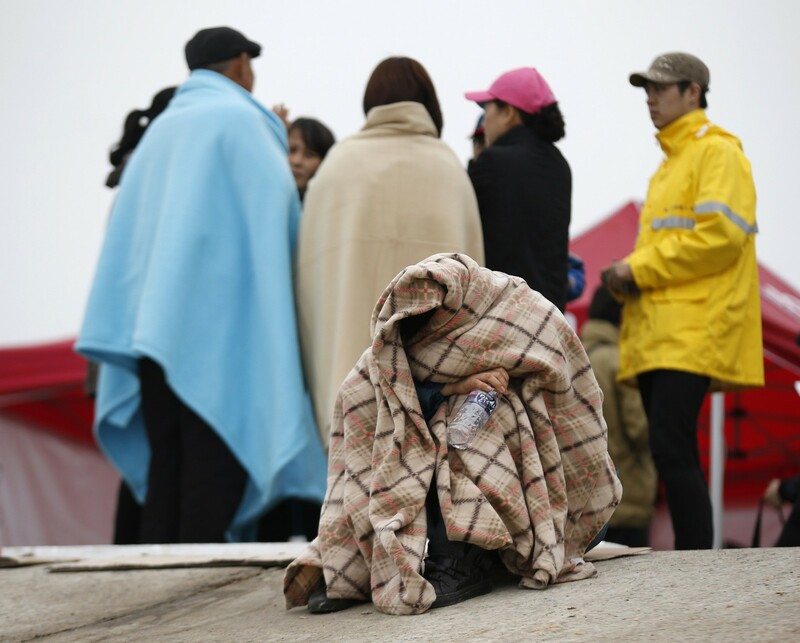 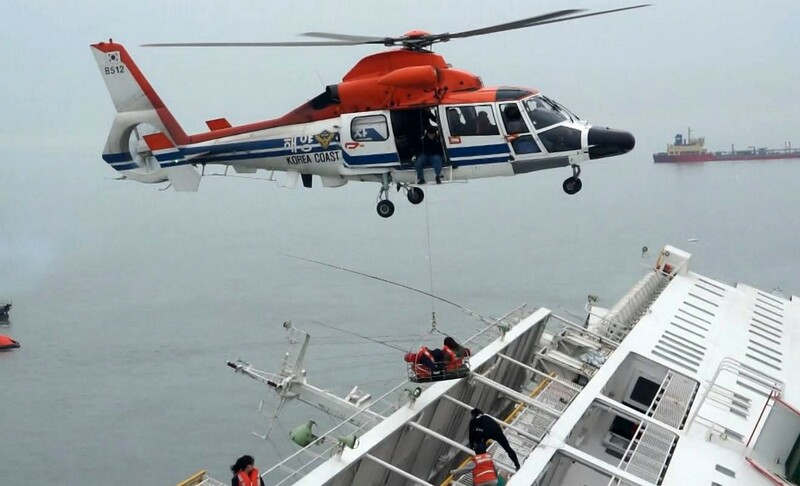 The government has become under fire for its poor countermeasure against emergency and disasters while some of its officials have been suspected of having had inappropriate acquaintance with the Sewol owners and others involved in the accident. 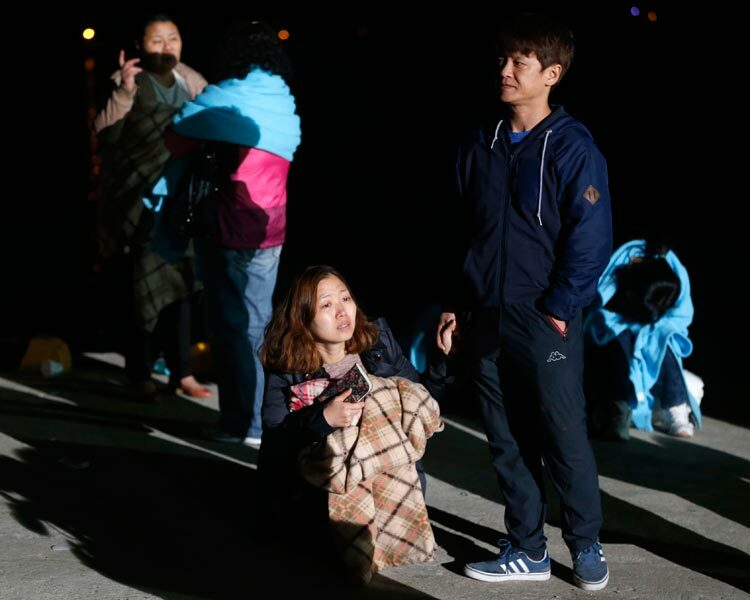 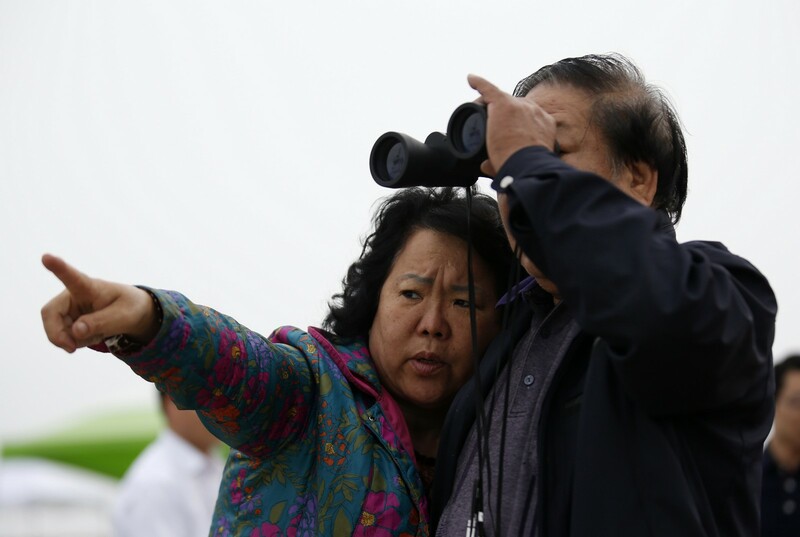 According to a Gallop survey held between April 28-30, fortnight after the accident and about a month prior to the local administration election slated for June 4, the support rate of Park slid to below 48 per cent, which is some 11 percentage point-drop from two weeks earlier. 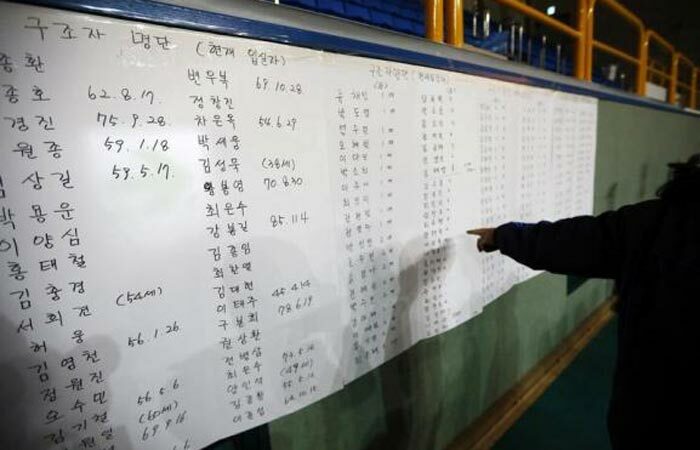 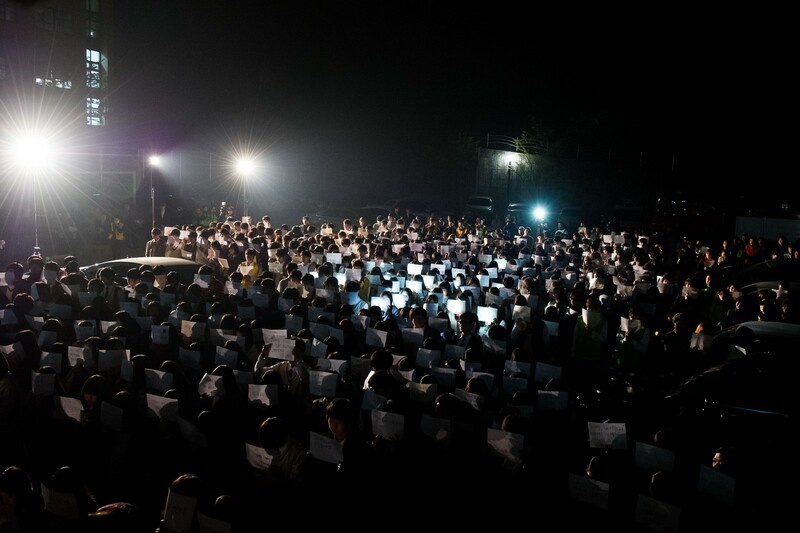 The ruling Saenuri Party has formerly requested the president to express "sincere regrets" about the issue, out of fear that the reputation will drag them down at the voting.